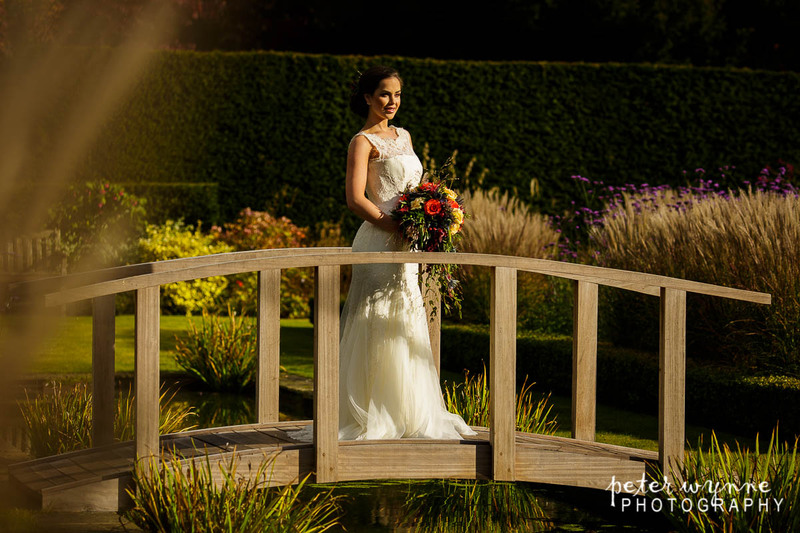 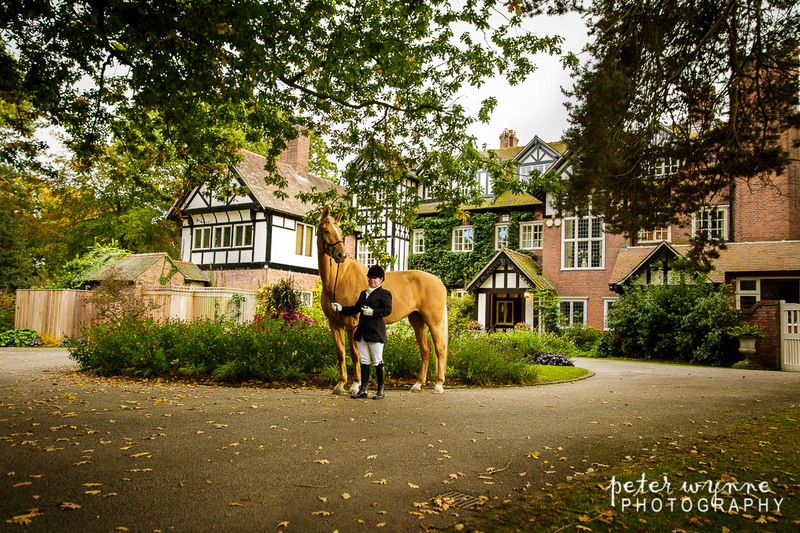 The Abbeywood Estate wedding venue is a long favourite of mine and just a few weeks ago, I had the privilege of hosting a styled bridal photo shoot there with my partner Vicky, from Bridal Hair and Makeup of Cheshire. 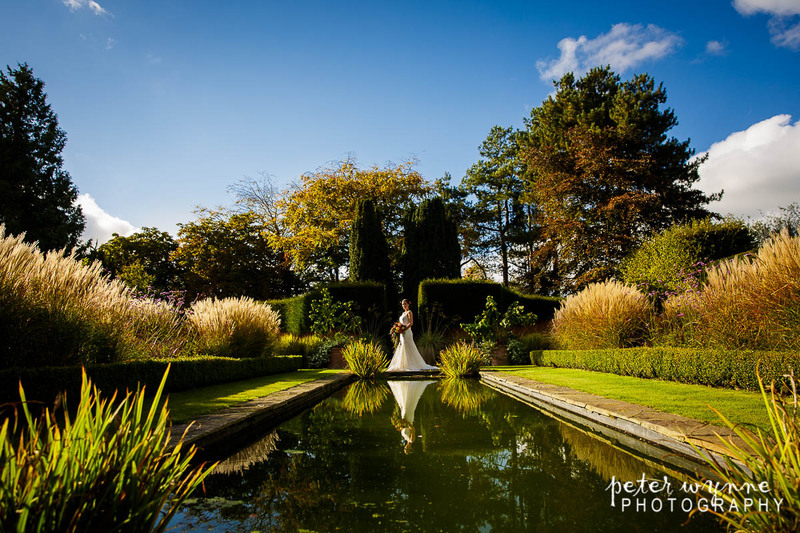 Me and Vicky sat down a few weeks earlier with ideas of what we wanted to do and more importantly, where we could do it. 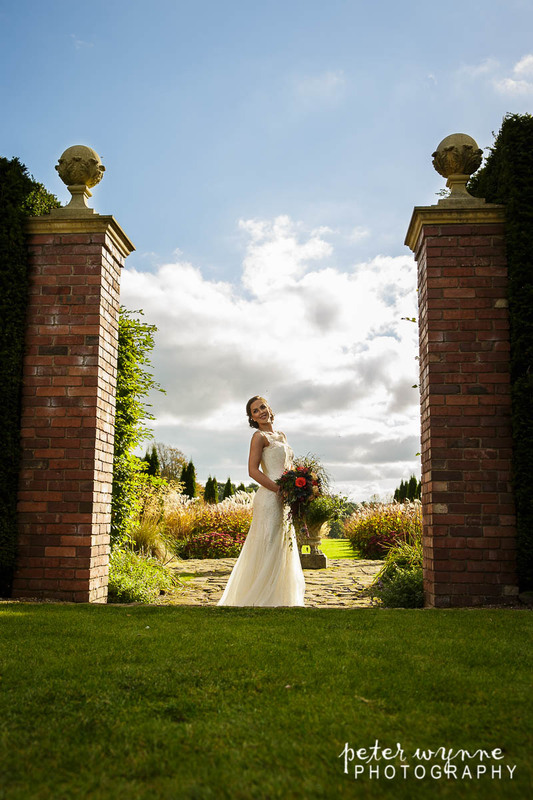 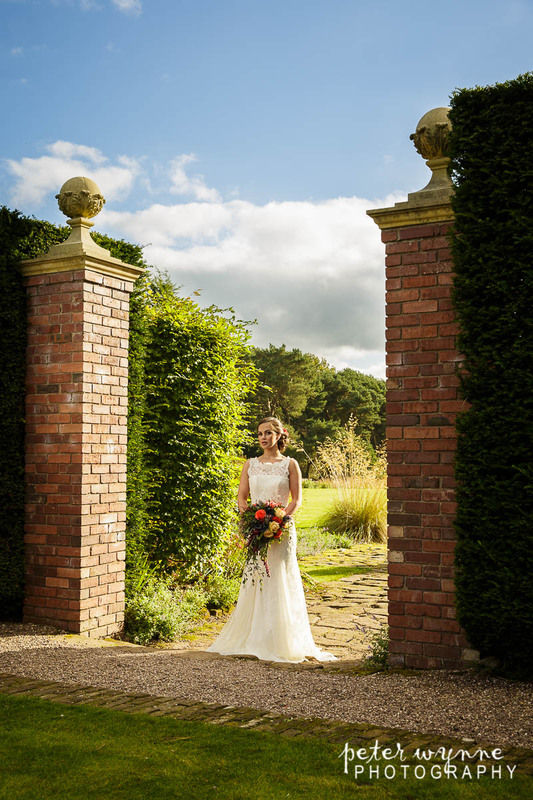 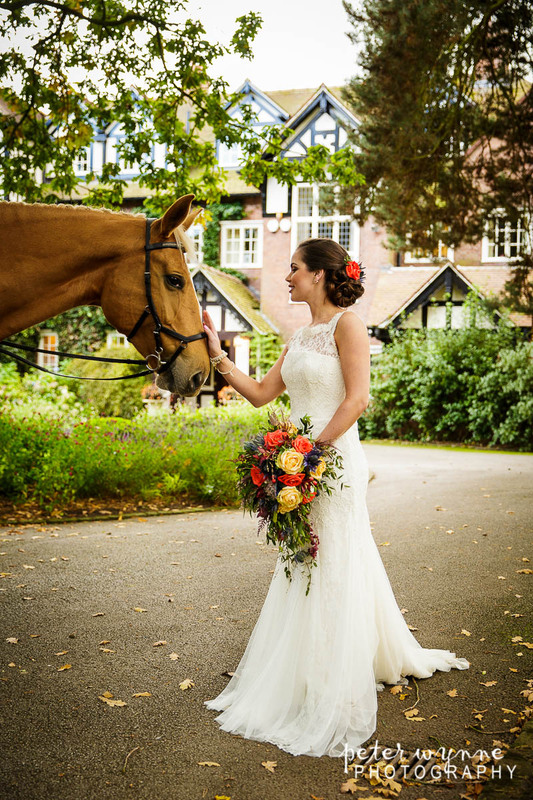 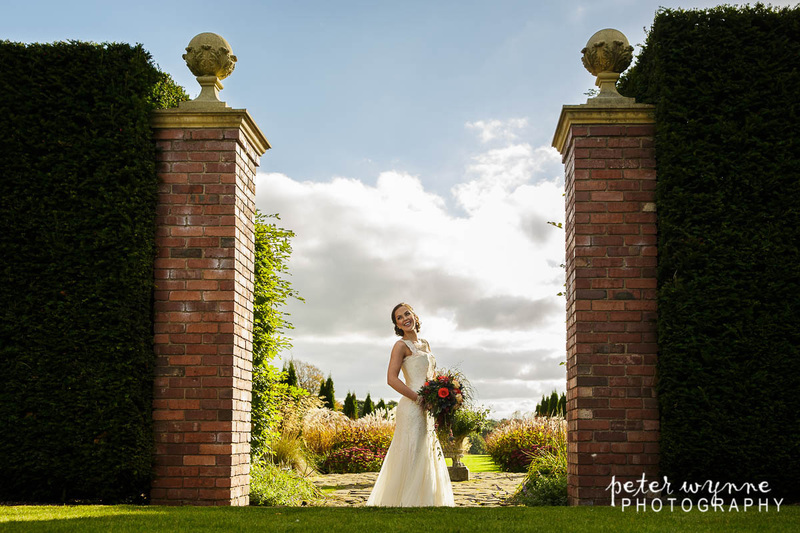 Located in the gorgeous Cheshire countryside and blessed with stunning grounds and gardens, Abbeywood was most certainly our first choice. 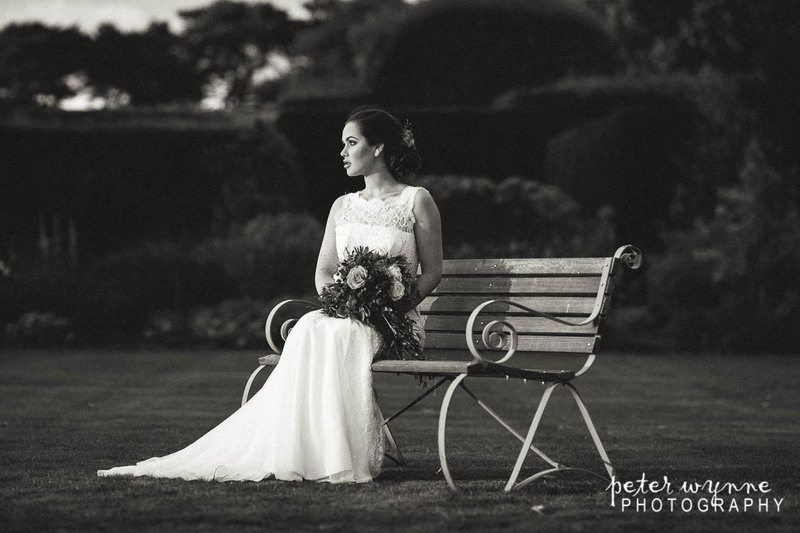 After a brief chat with Alicia from Abbeywood, we had the go ahead…..much sooner than we were expecting which was fantastic. 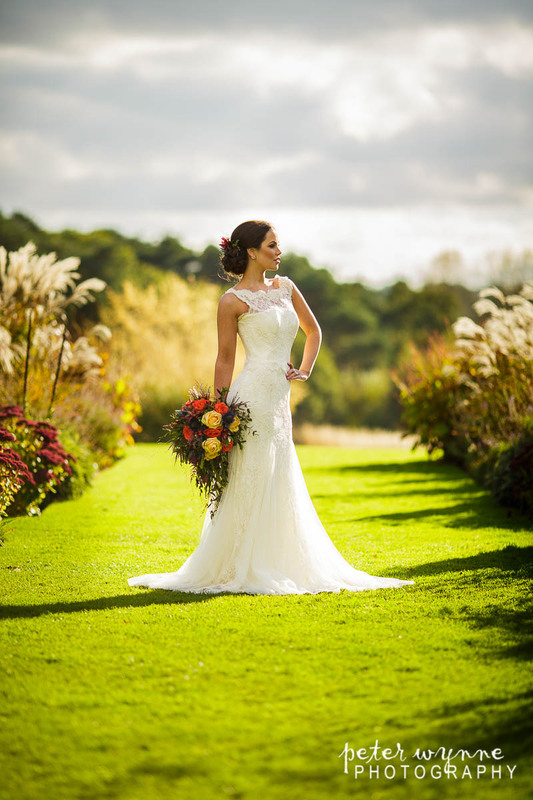 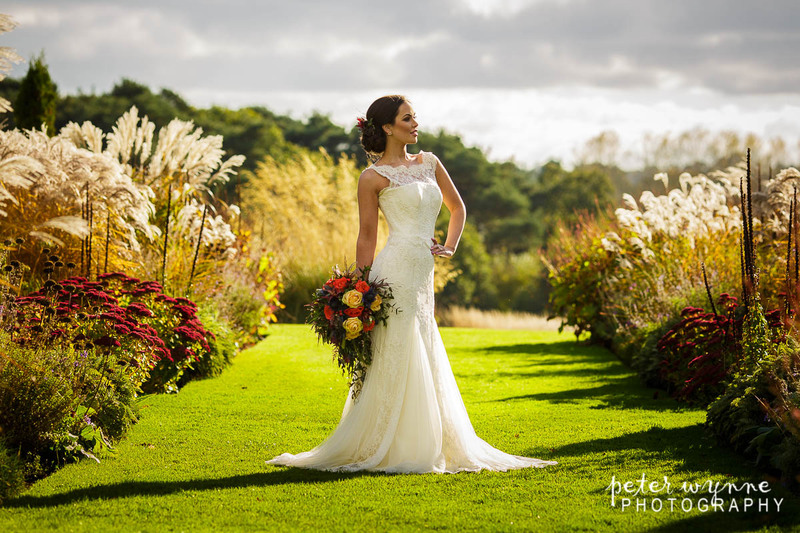 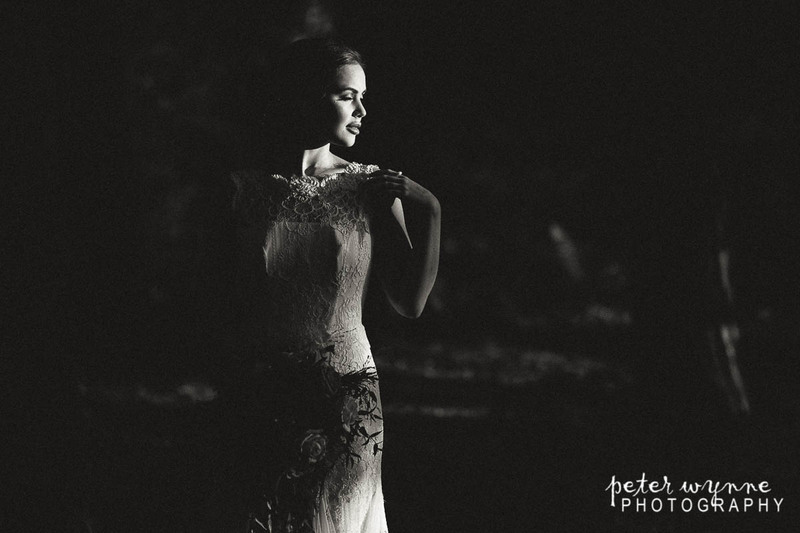 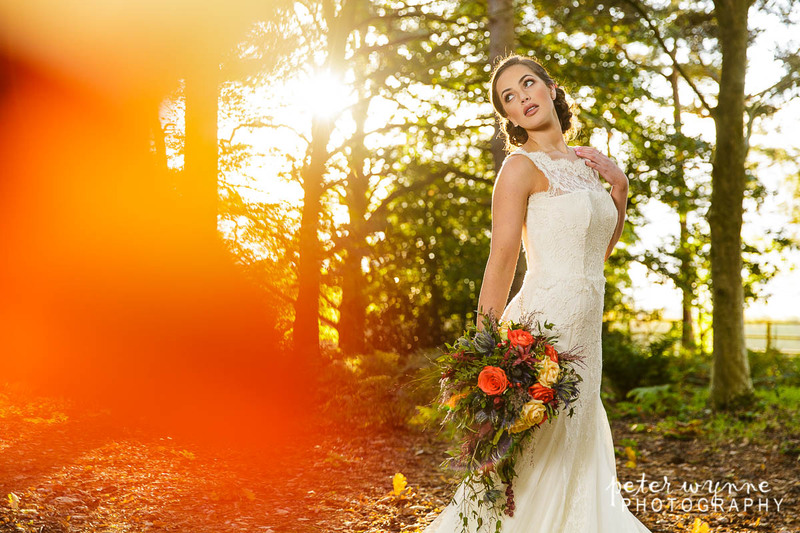 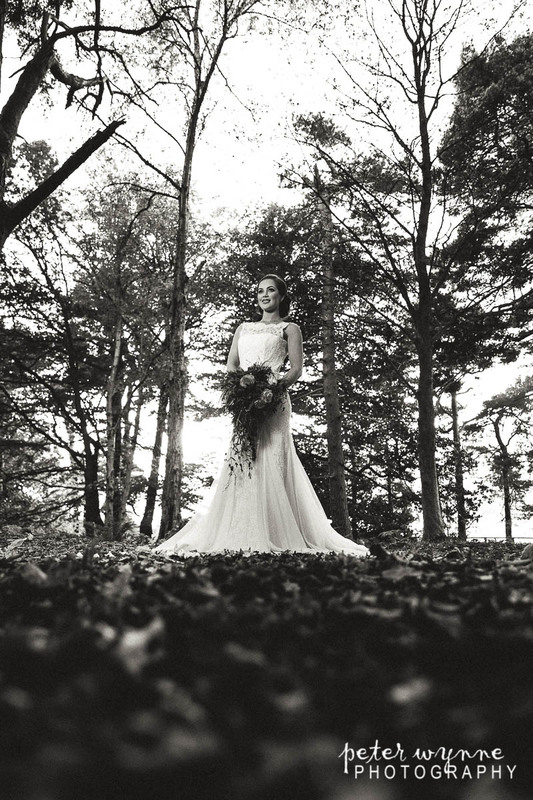 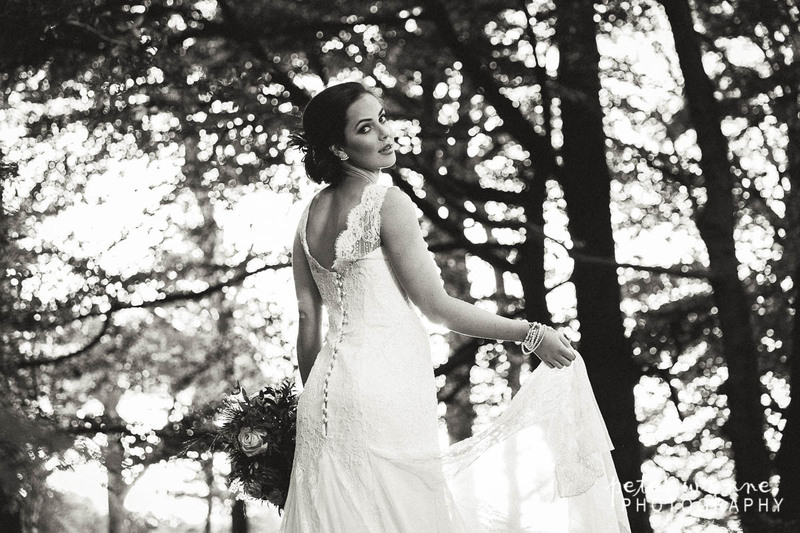 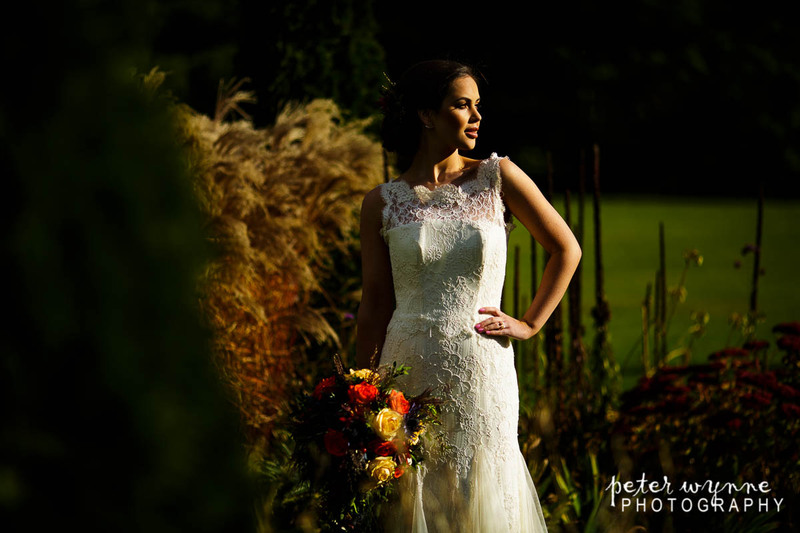 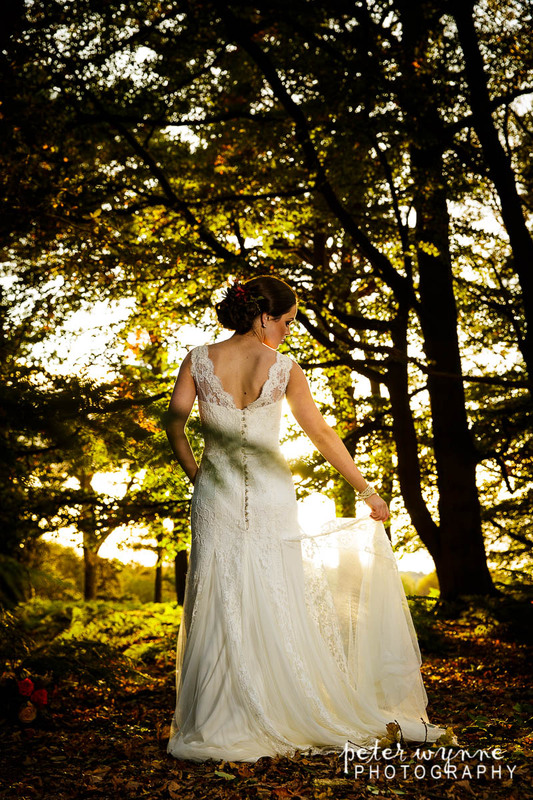 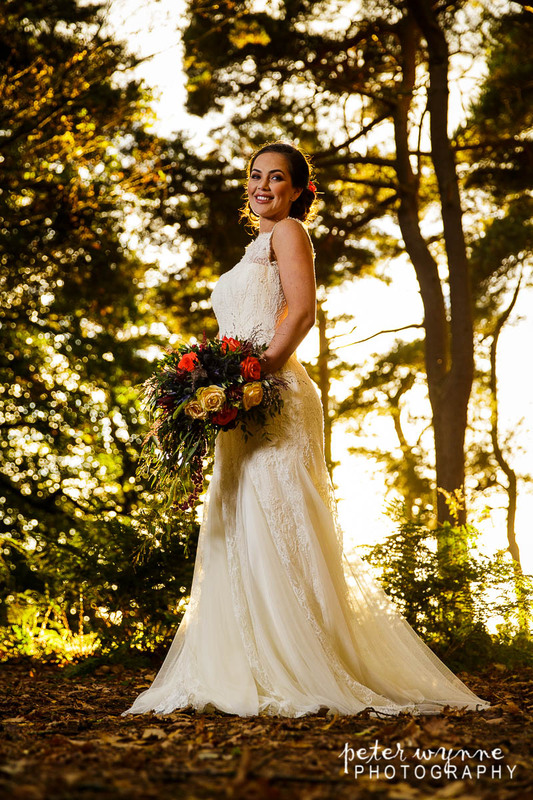 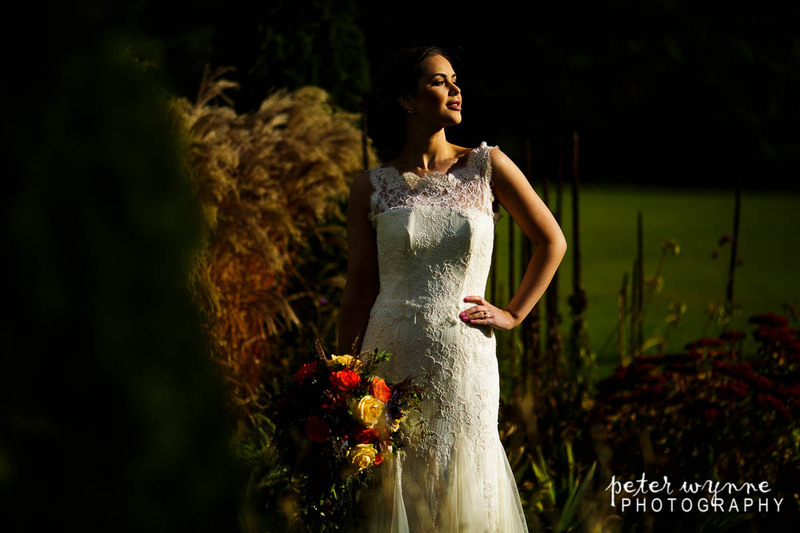 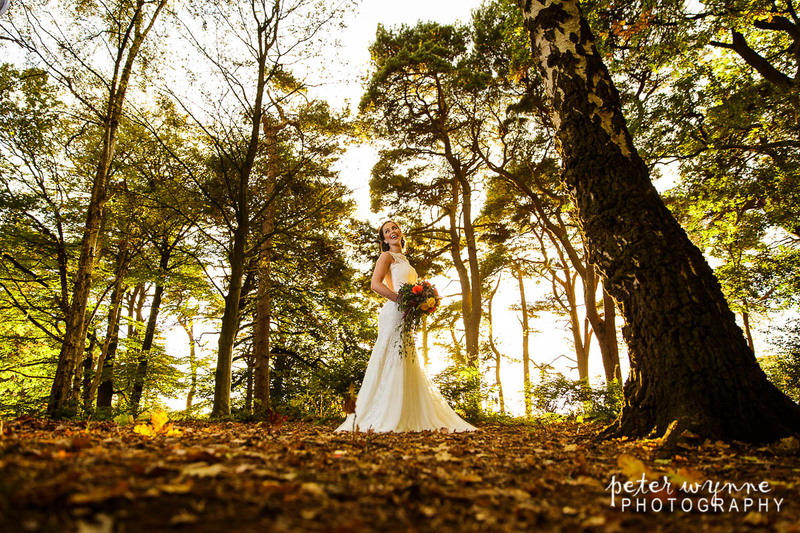 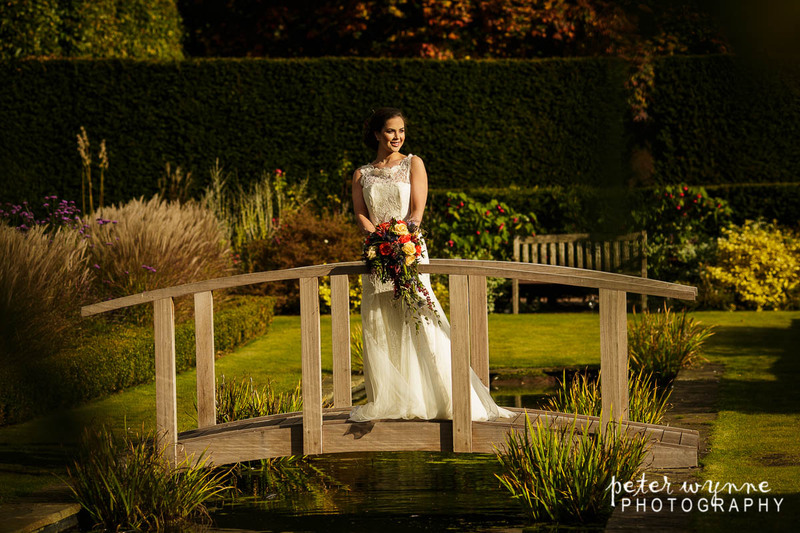 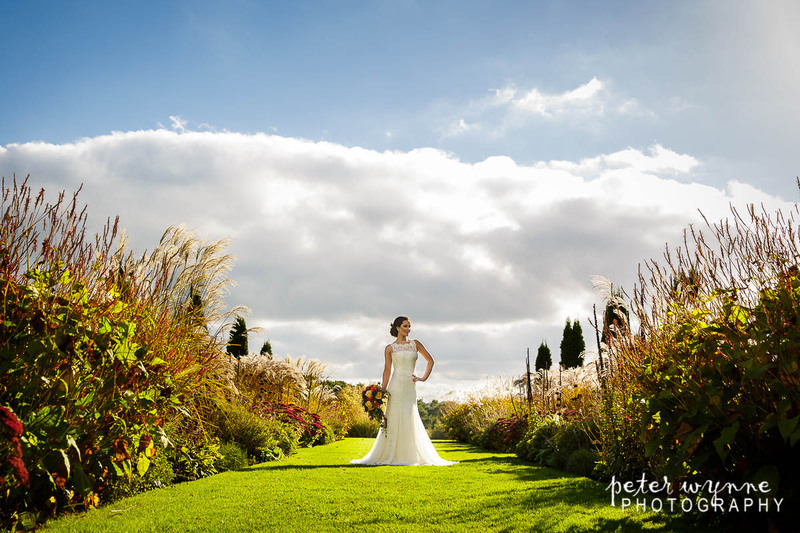 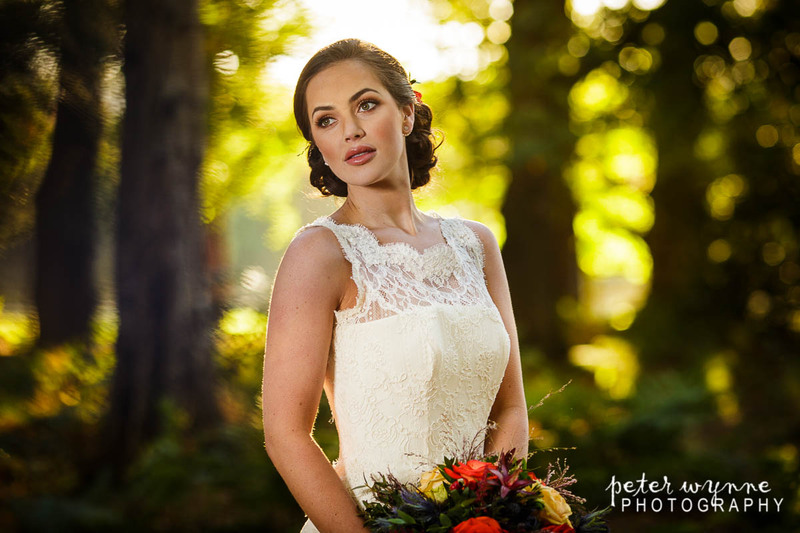 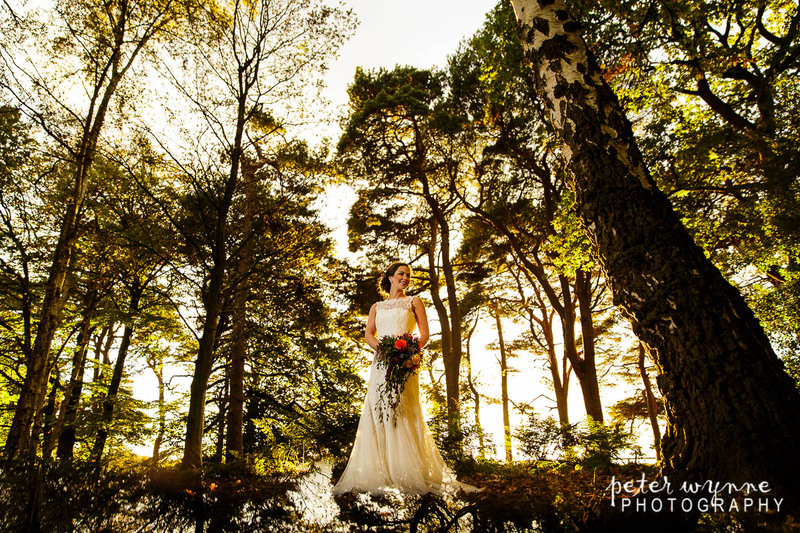 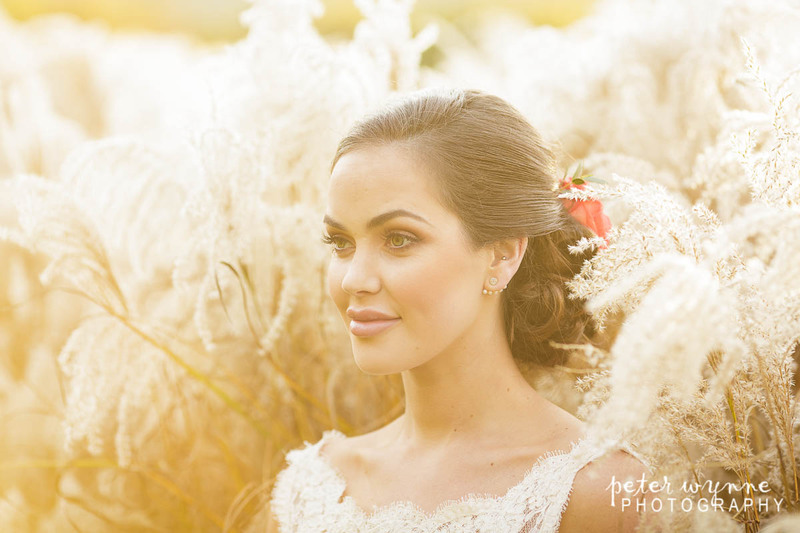 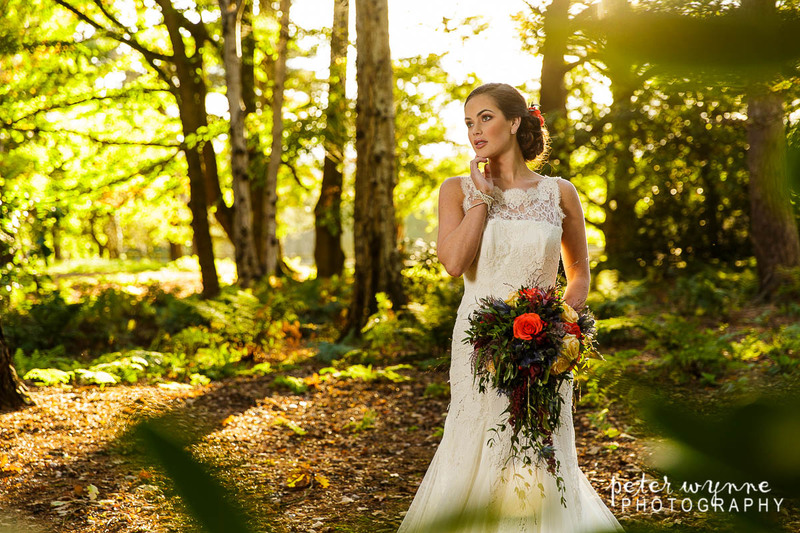 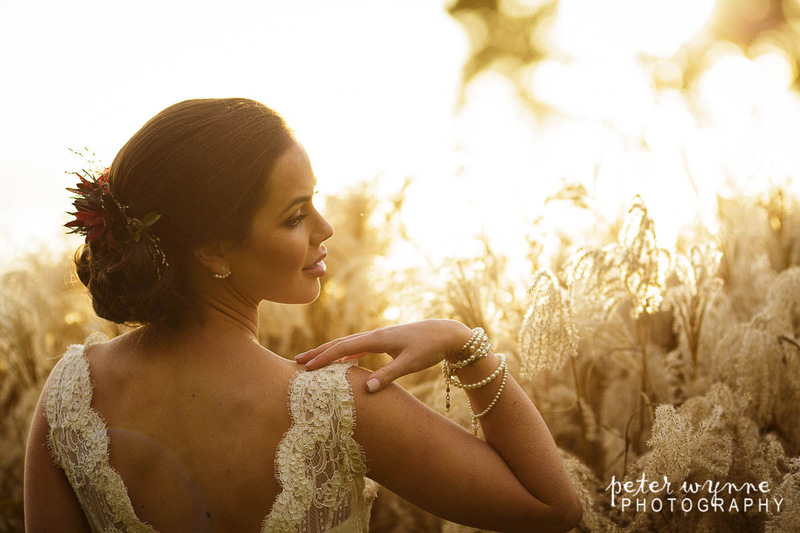 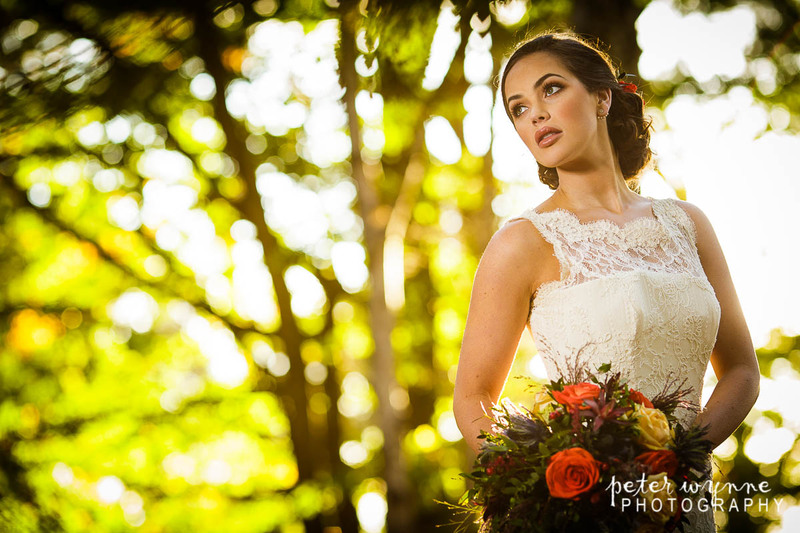 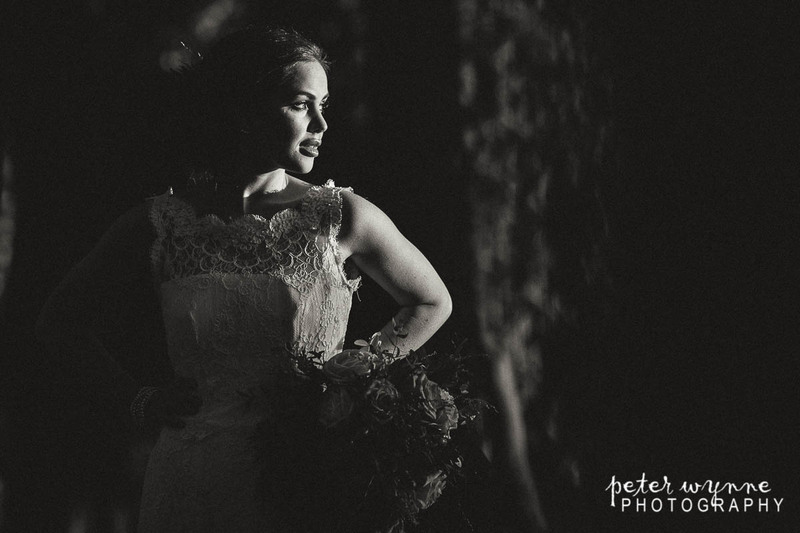 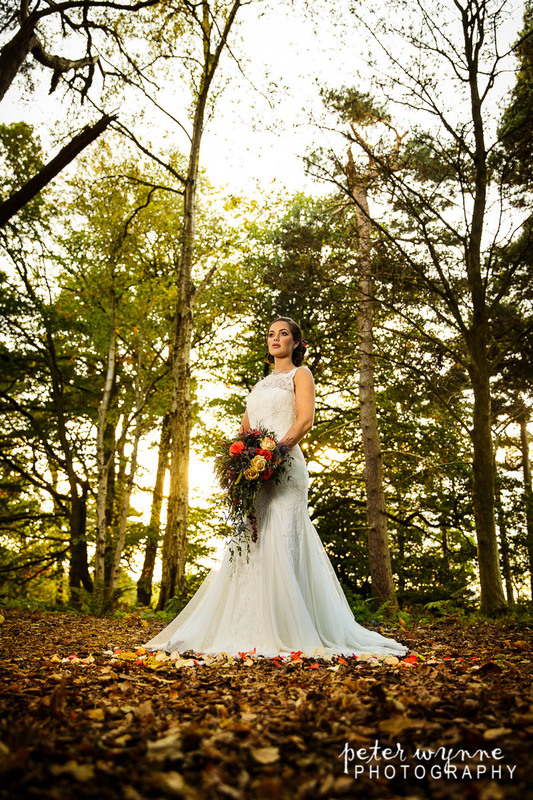 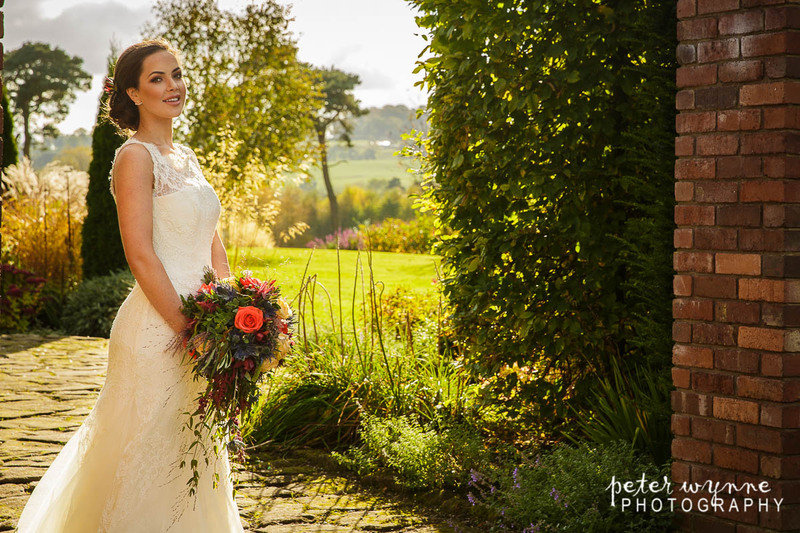 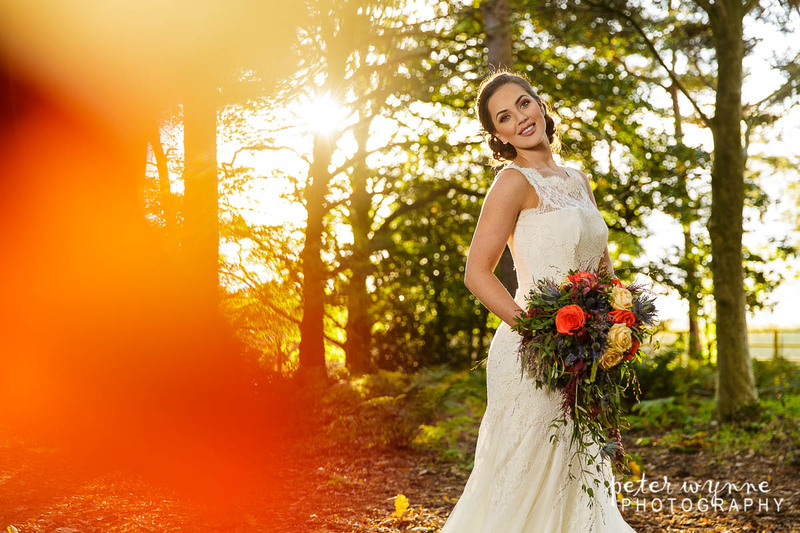 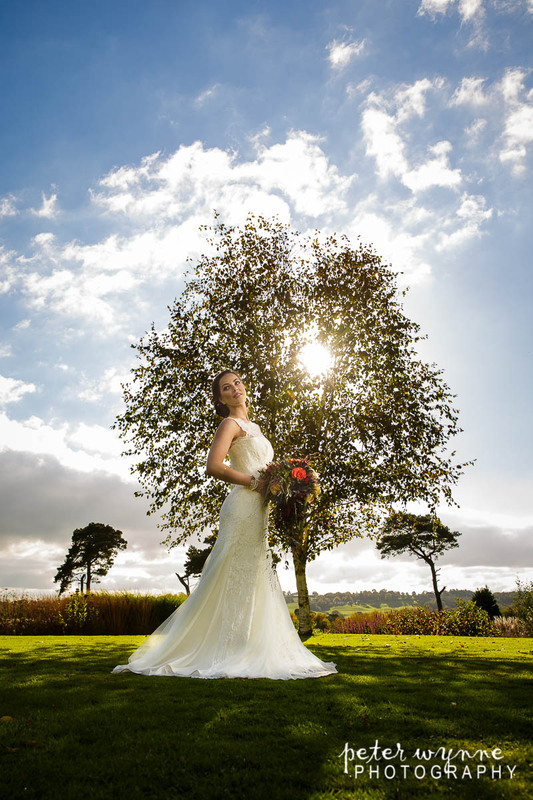 The theme for the wedding photo shoot was an country autumnal theme to match the time of year but although we had concerns that the weather would be it’s usual unpredictable self, we were blessed with some perfect weather and fantastic light for our shoot. 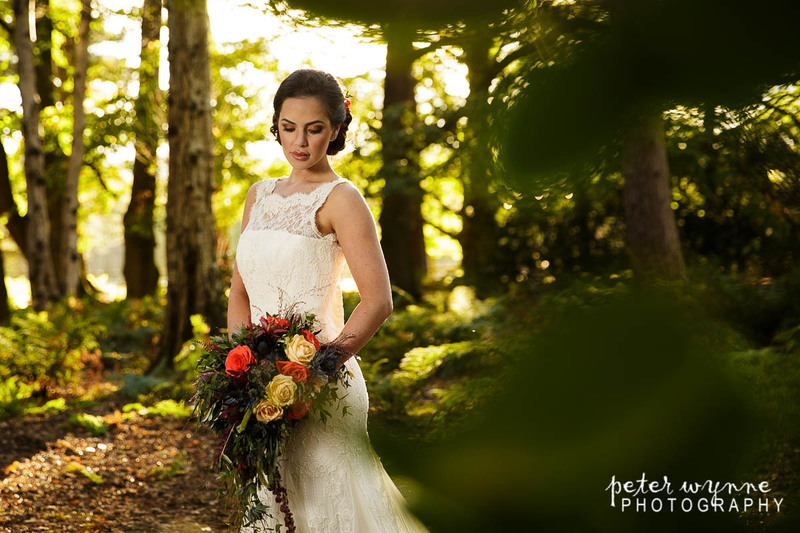 With the venue secured, the other wedding suppliers we wanted were already on board as we’d recently worked with them on another bridal photo shoot. 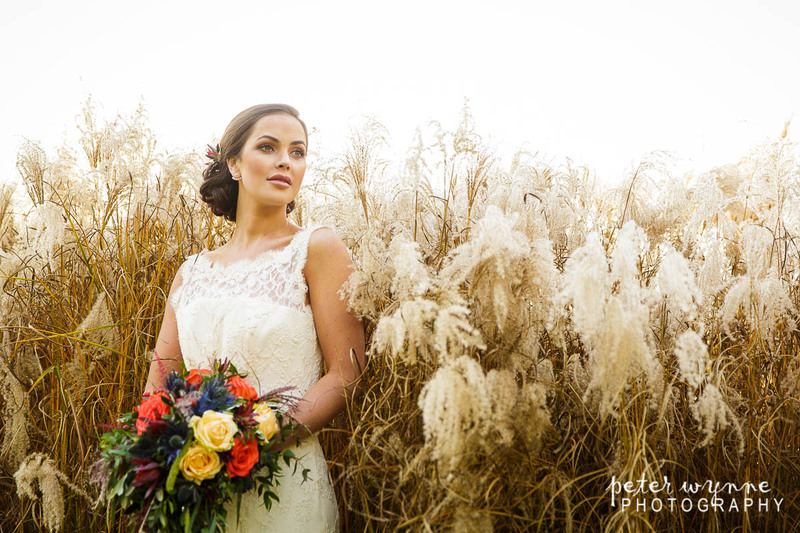 For the flowers and bridal bouquet, Vicky wanted a certain look to match her hair and makeup plans, so she sent over her ideas to the super talented Jacqui from Jacqui O Fairytale Flowers who was able to put together a stunning bouquet for us along with some flowers that Vicky could incorporate into the hairstyle she had planned. 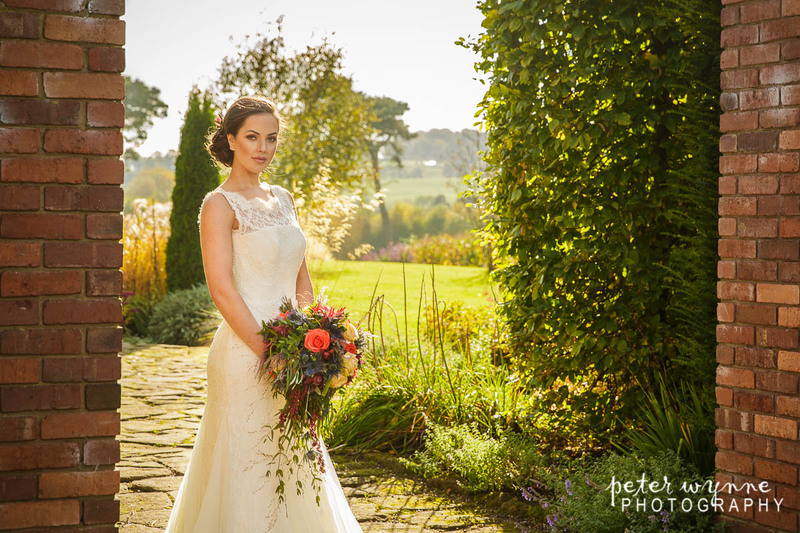 For the dress we were lucky to be able to work with Kate from Bridal Haven, who was kind enough to invite us to her stunning bridal shop in Tarporley to choose a dress we could use for the shoot. 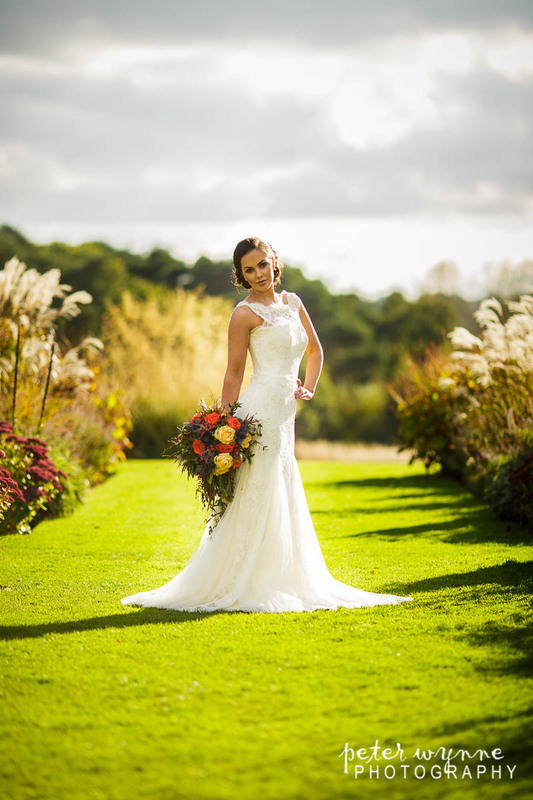 It didn’t take Vicky long to find the perfect wedding dress, Alex who works with Kate was a star in helping us. 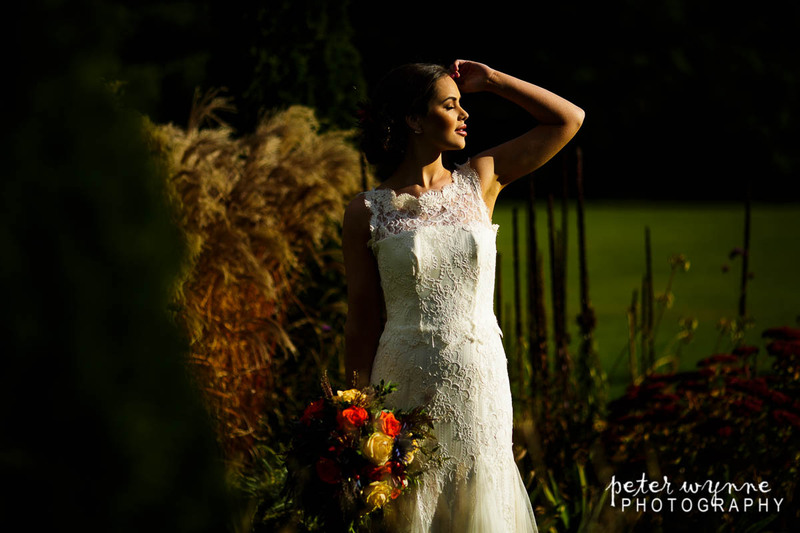 With the flowers and dress taken care of the day before, it was now the day of the photo shoot. 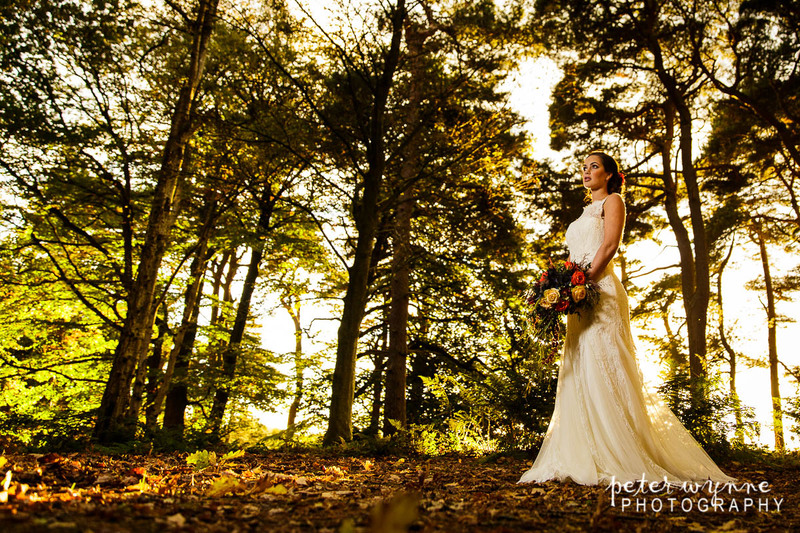 It was now Vicky and Anna’s turn to work their magic and style Clare, our model for the day. 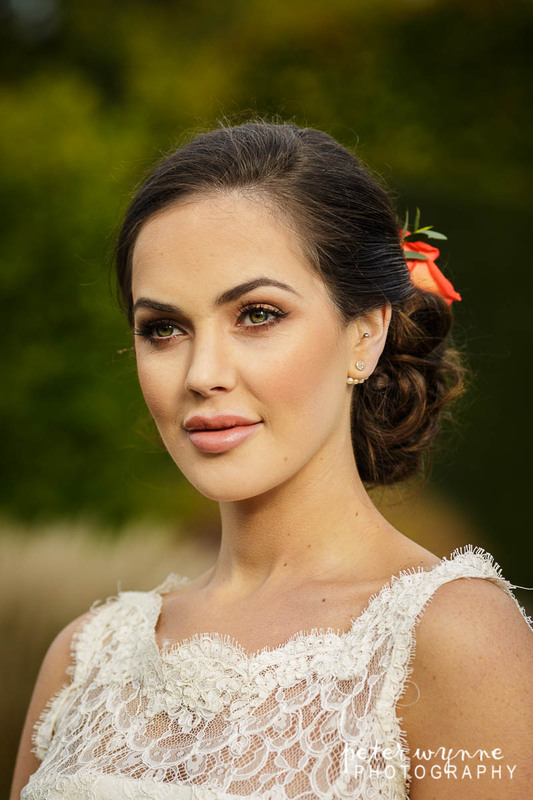 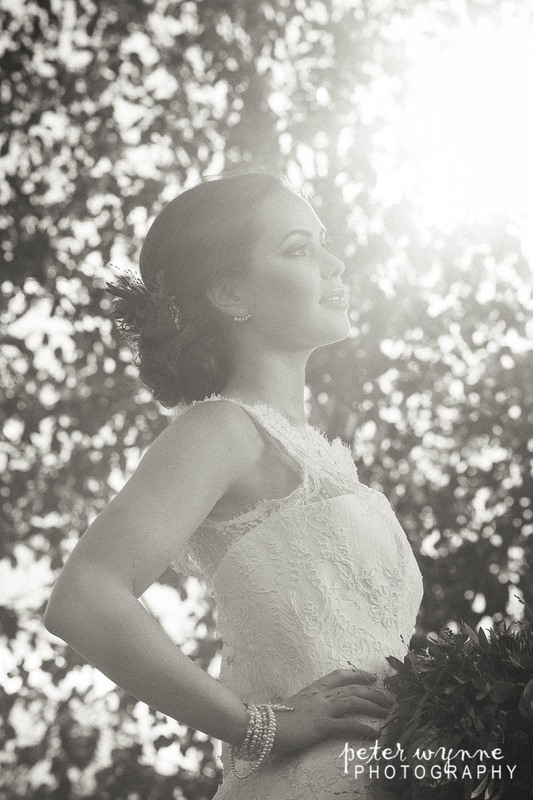 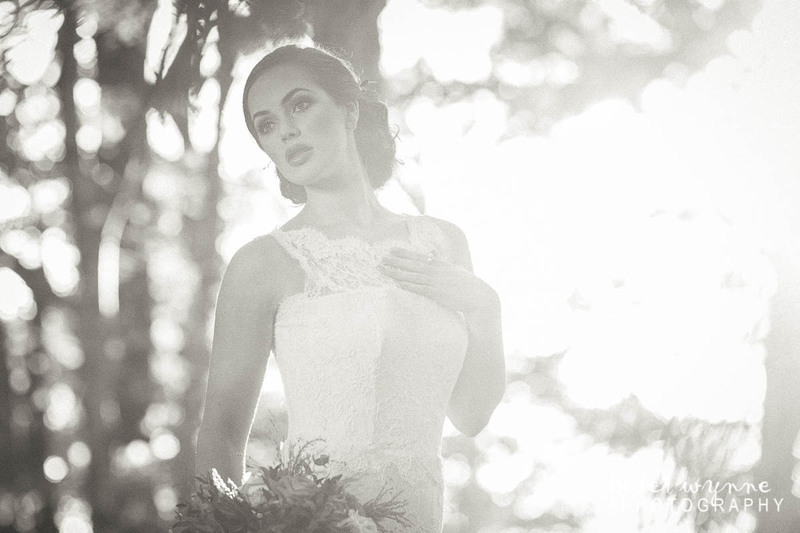 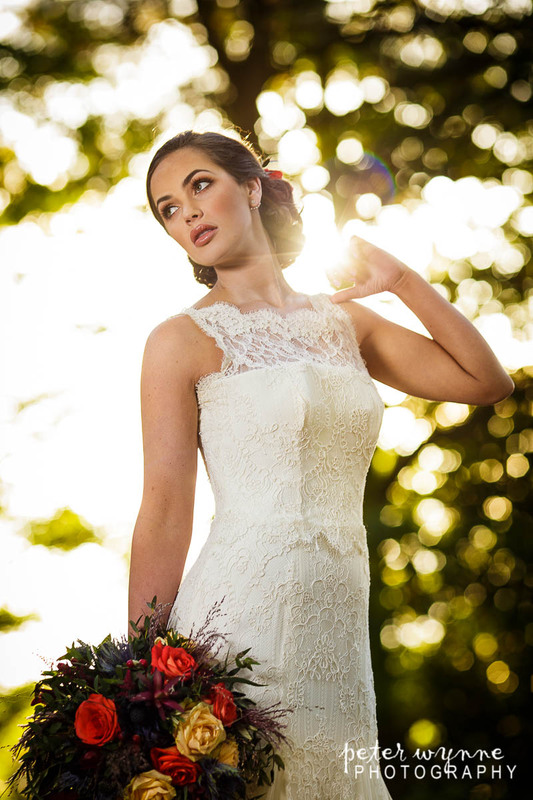 Vicky specialises in airbrush makeup which is perfect for bridal makeup as it’s light, long lasting and is ideal for photography as it’s SPF free to reduce bounce back from lighting. 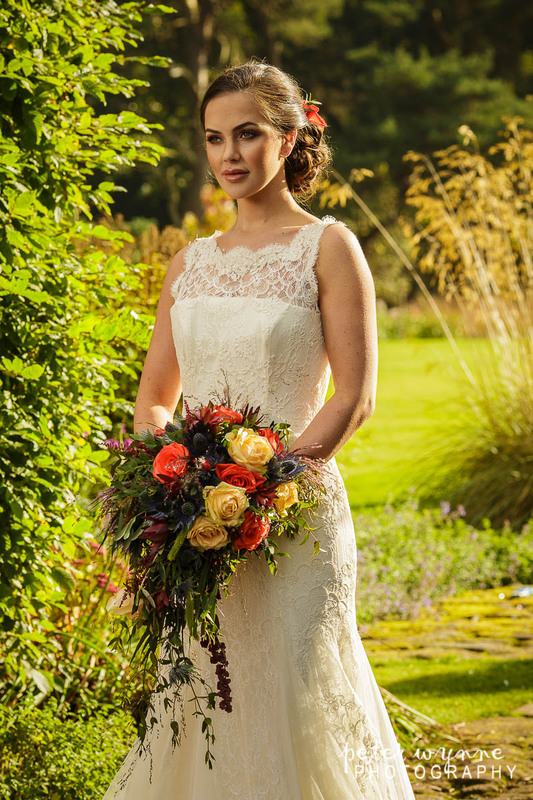 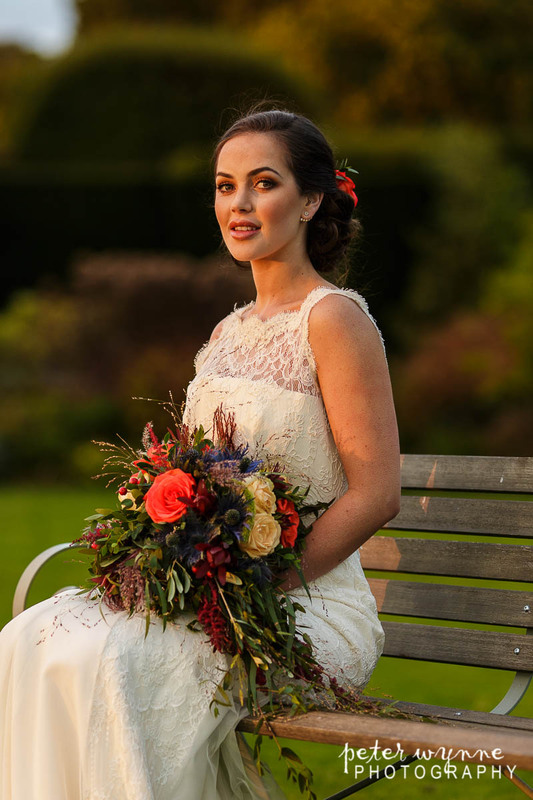 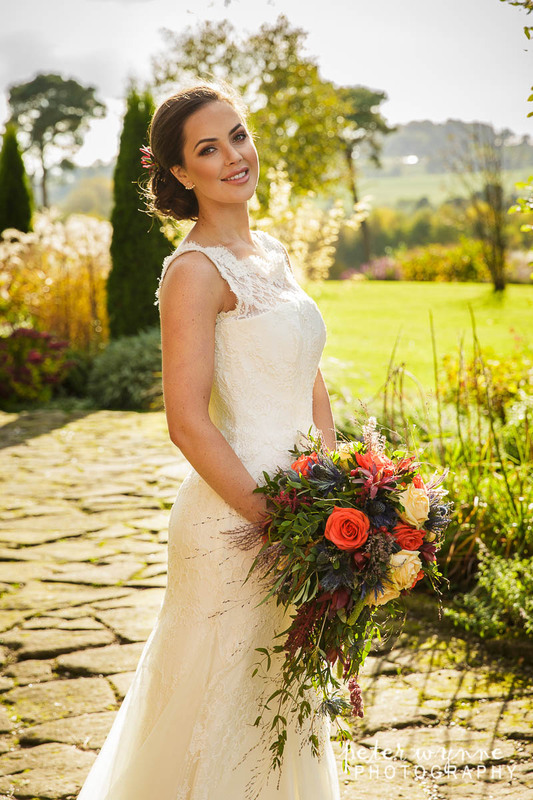 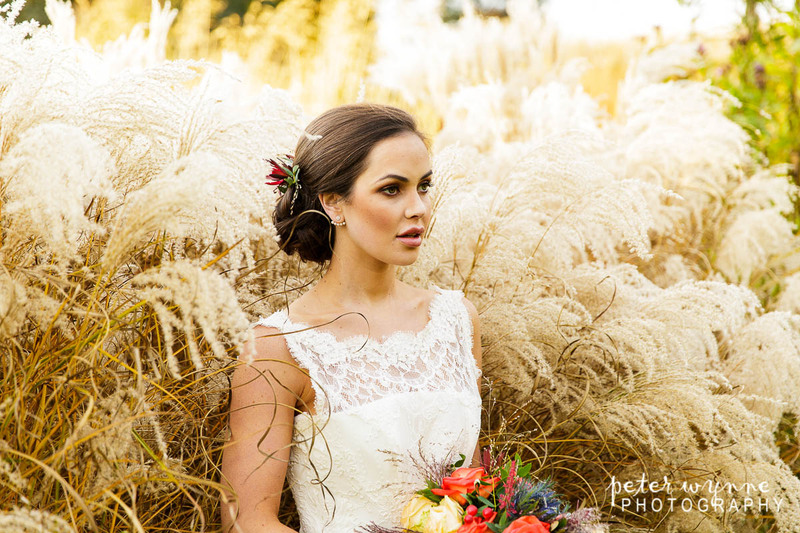 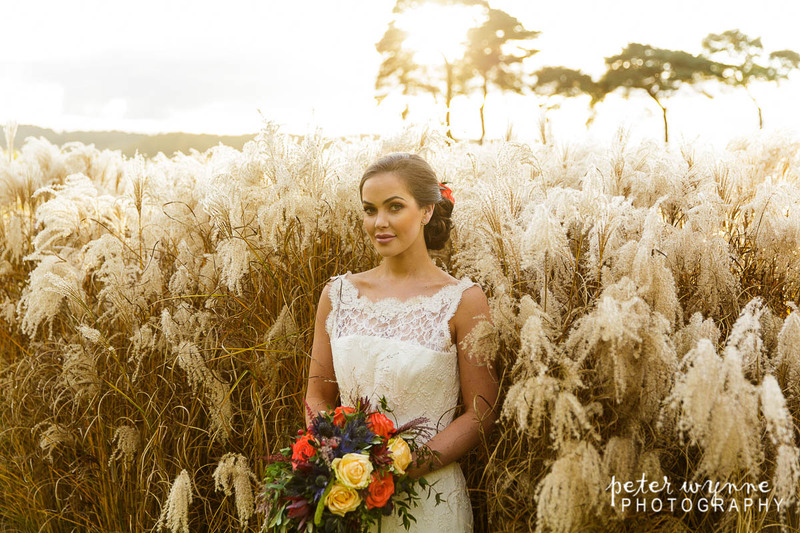 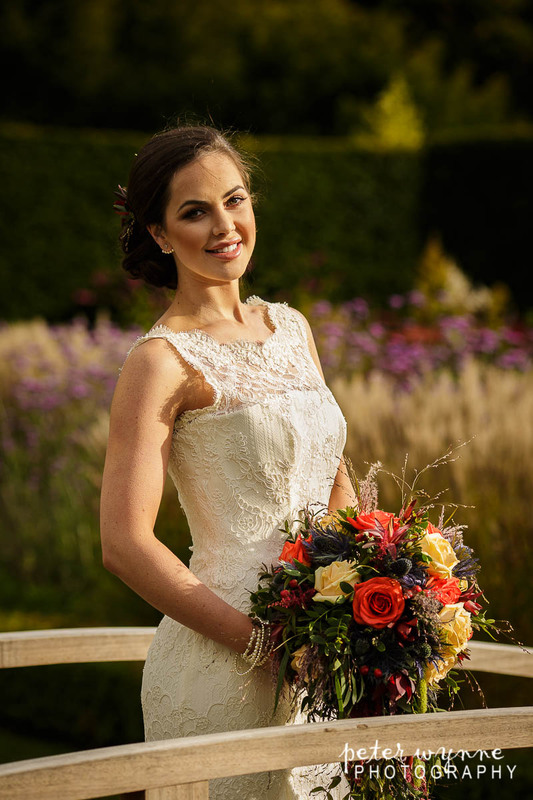 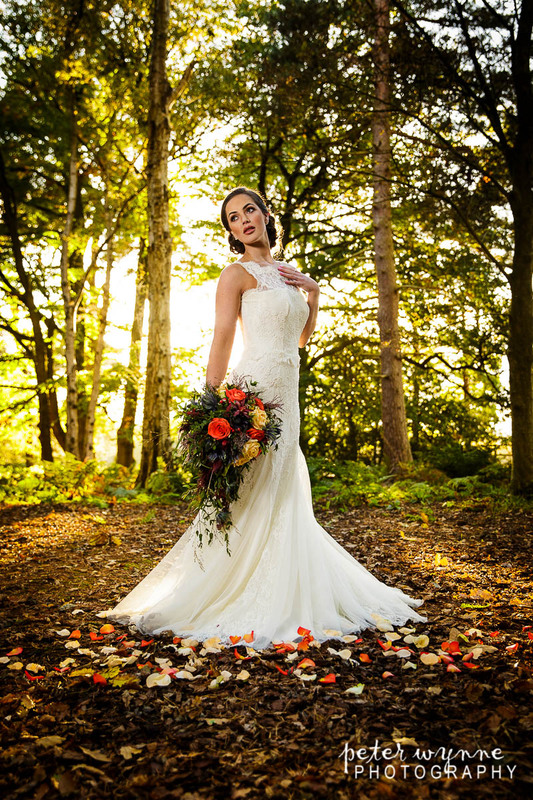 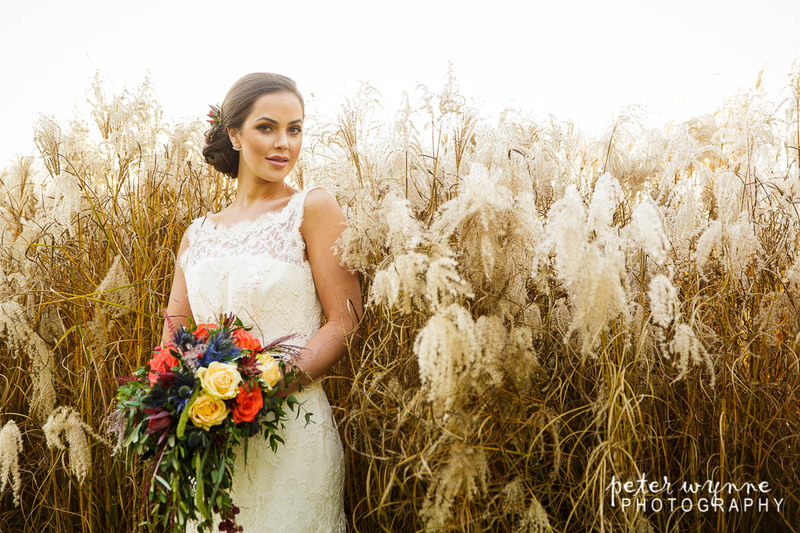 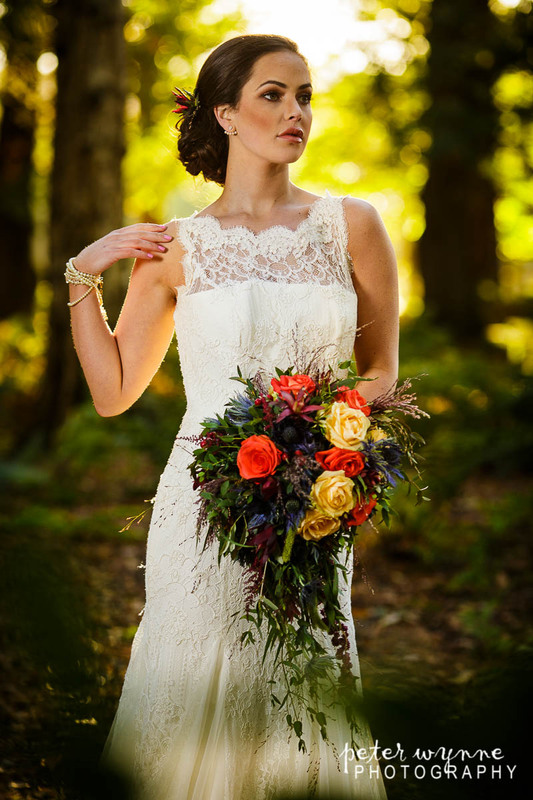 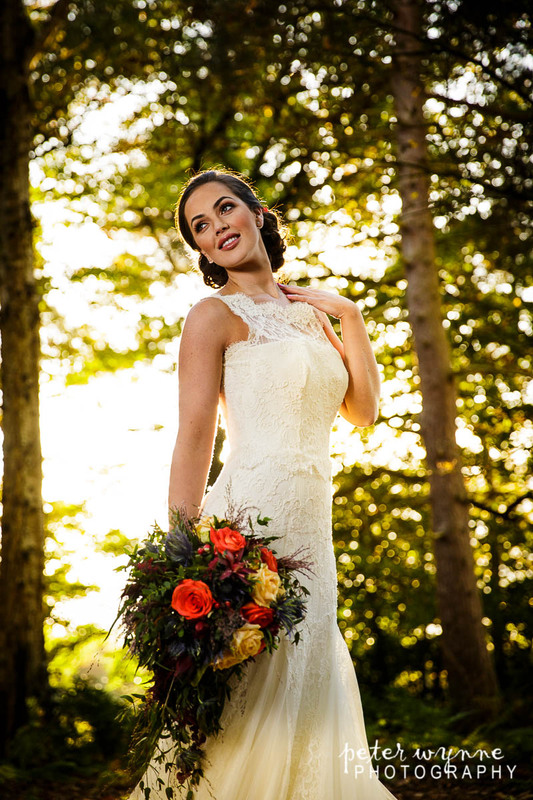 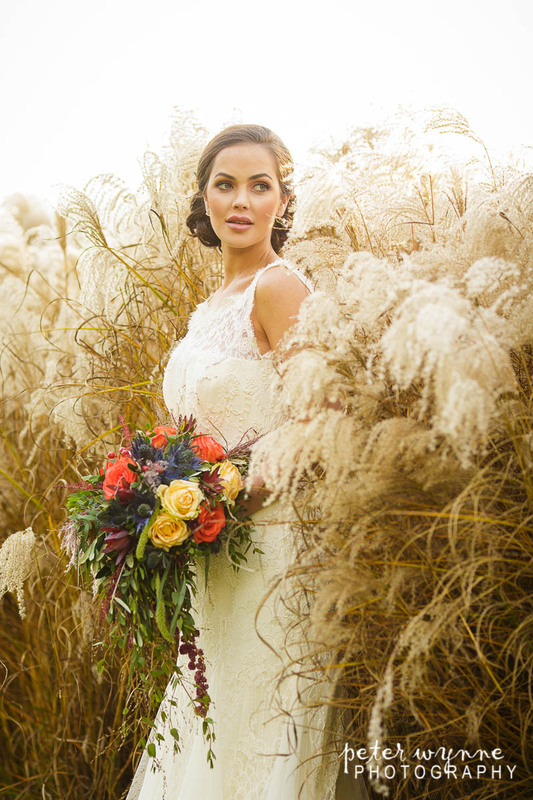 In keeping with the autumnal style we wanted, Vicky chose to use a smoky bronze colour makeup for Clare’s eyes and other defining colours to match the bouquet. 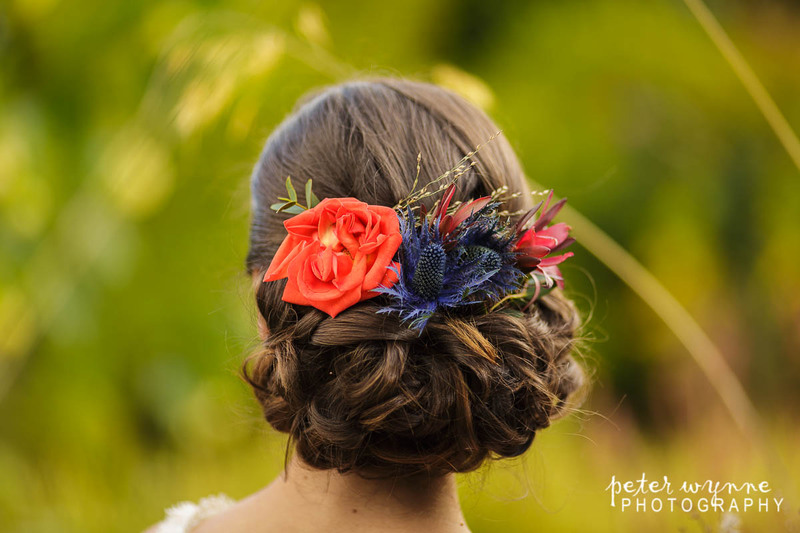 For Clare’s hair, Anna used flowers that Jacqui provided to create a soft elegant county look to go with the style we wanted. 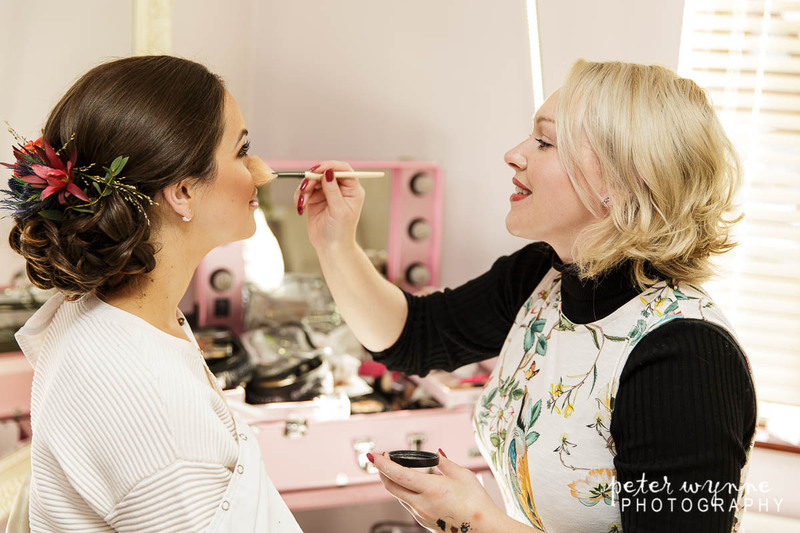 Once Clare’s hair and makeup had been finished we were ready to head over to Abbeywood. 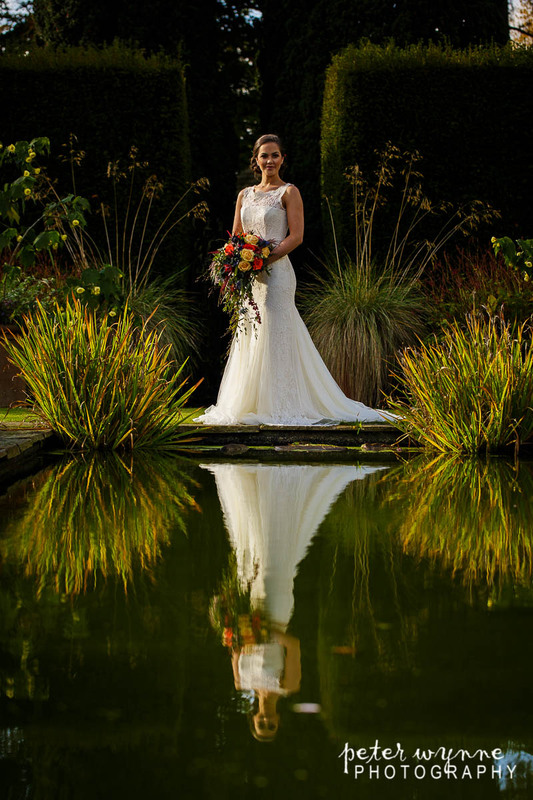 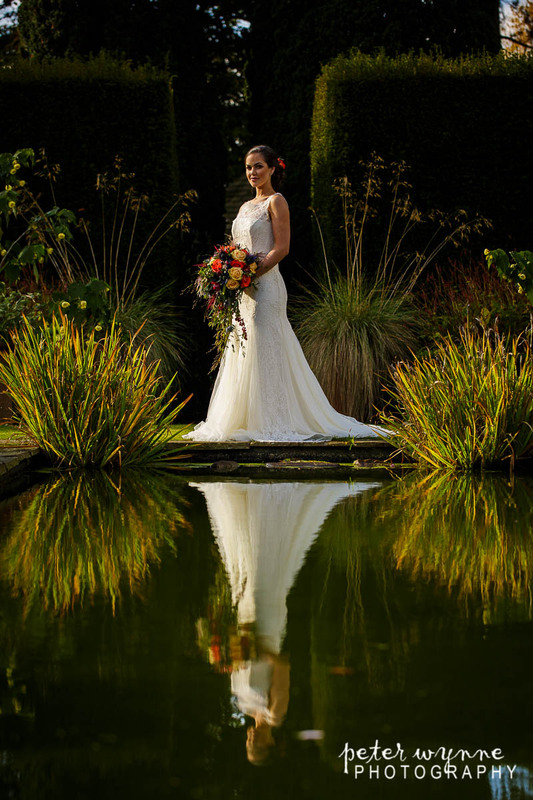 I wanted to go straight into the gardens for a few photos as the light looked perfect, and we also had a special guest model arriving after lunch so there was a lot to. 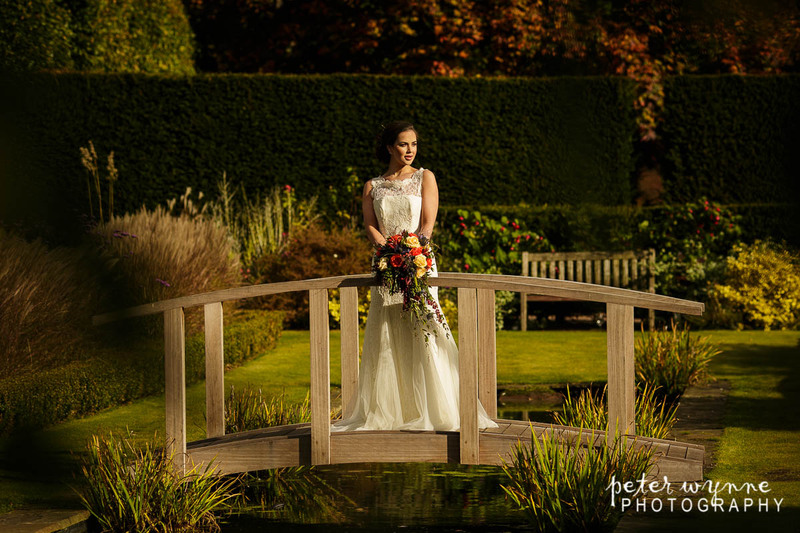 The gardens at Abbeywood have so much to offer, from a bridge over a long feature pond, lush colourful gardens, wide open country views to dense forests, I had so much choice and working with Clare was fantastic, she was incredibly professional and knew how to work the camera which made my job that bit easier. 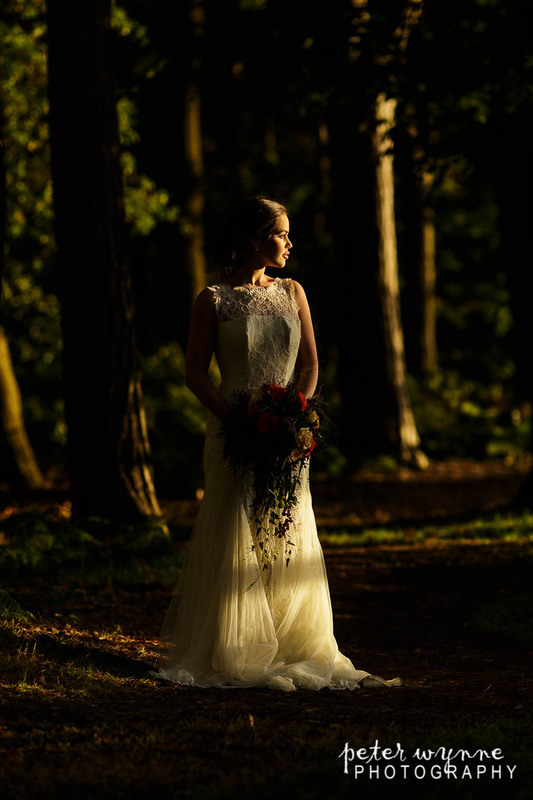 Vicky was my eager assistant helping with lighting positioning, careful dress placement and we made such a great team. 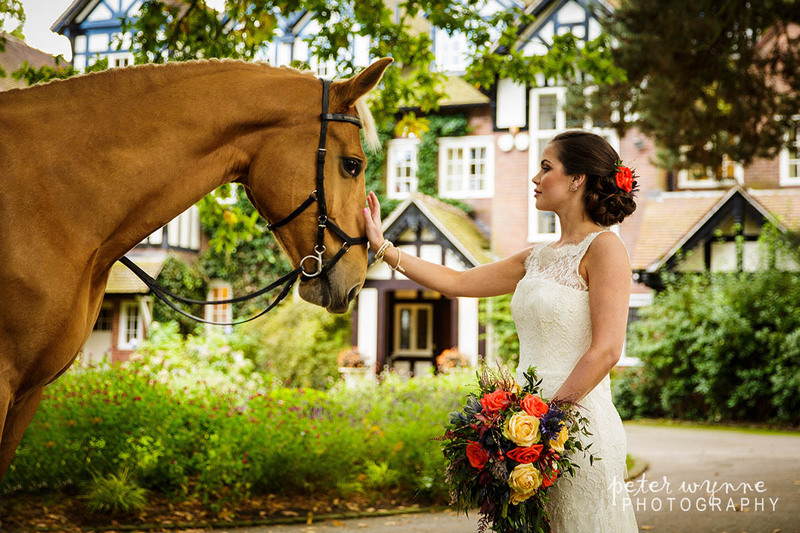 After a bit of lunch, our special guest model had arrived, Nala the horse. 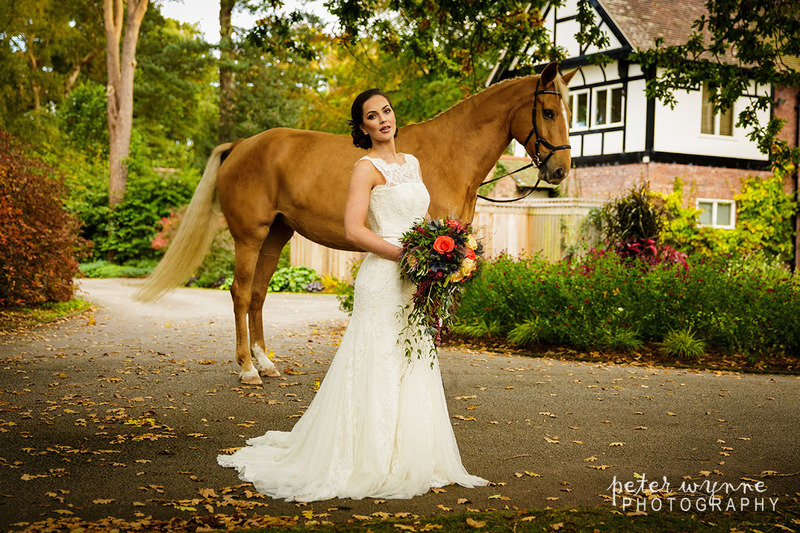 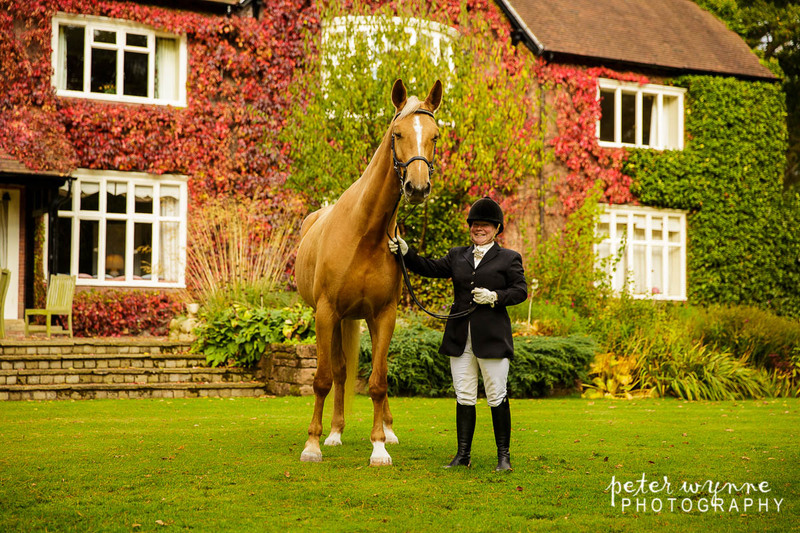 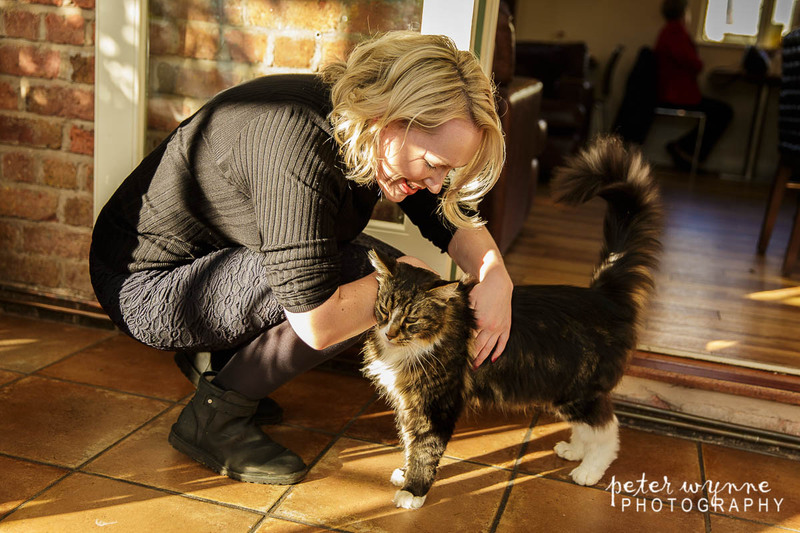 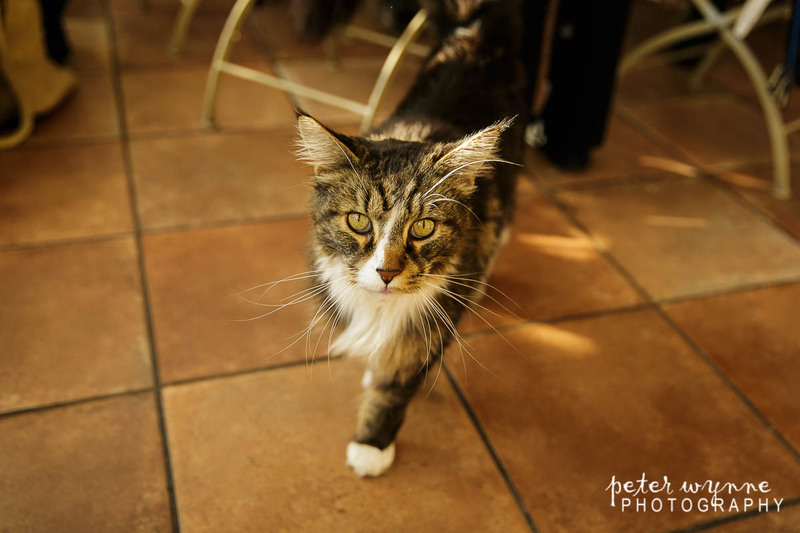 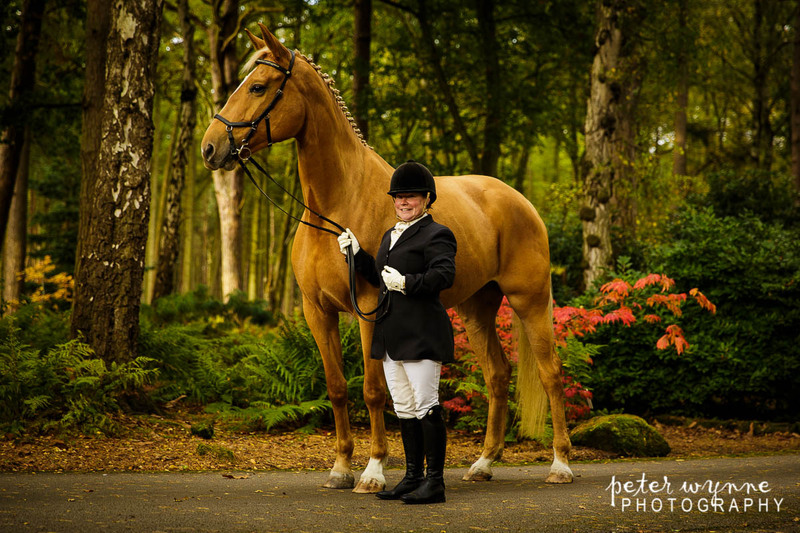 We thought it would be exciting to incorporate Nala into our country themed photo shoot as working with animals is always so easy…..and we foolishly never doubted this. 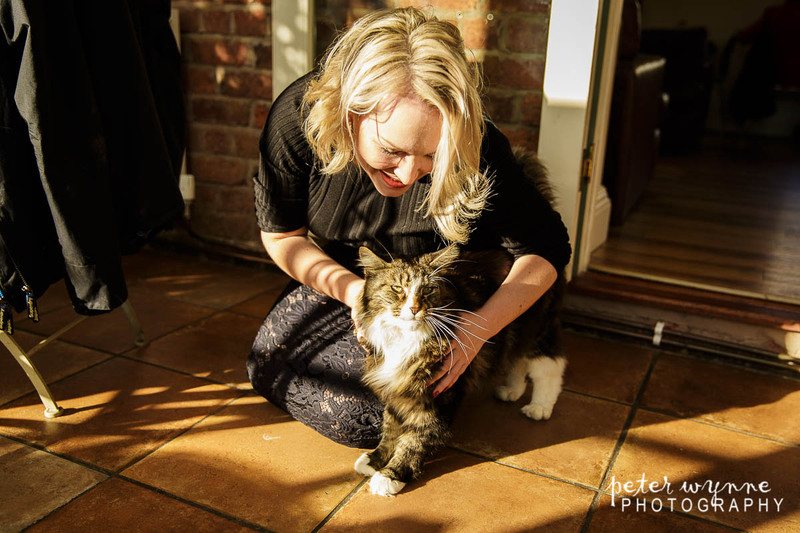 After many failed attempts of getting a good photo with Nala, we eventually got her to calm down to get a few of the shots we wanted, with the help of a packet of Polos and a lot of patience. 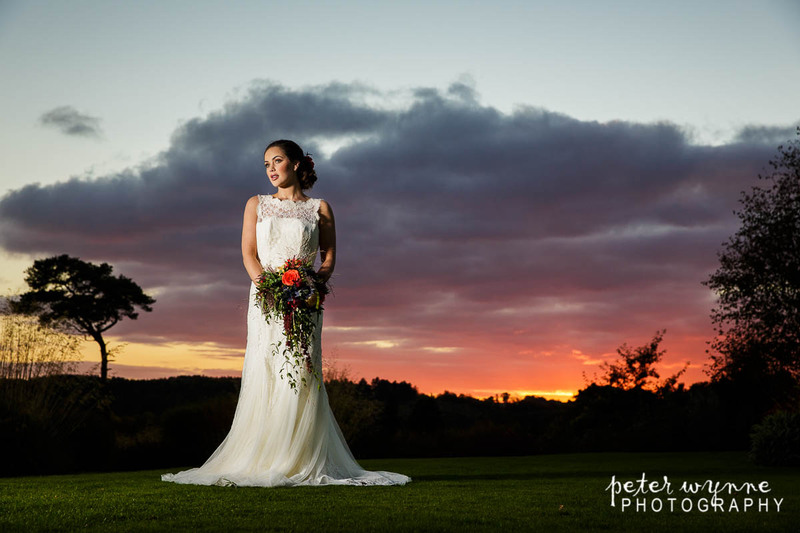 Once Nala was safely on her way home we again ventured into the gardens to take advantage of the changing light as it was getting closer to sunset and the colours looked awesome. 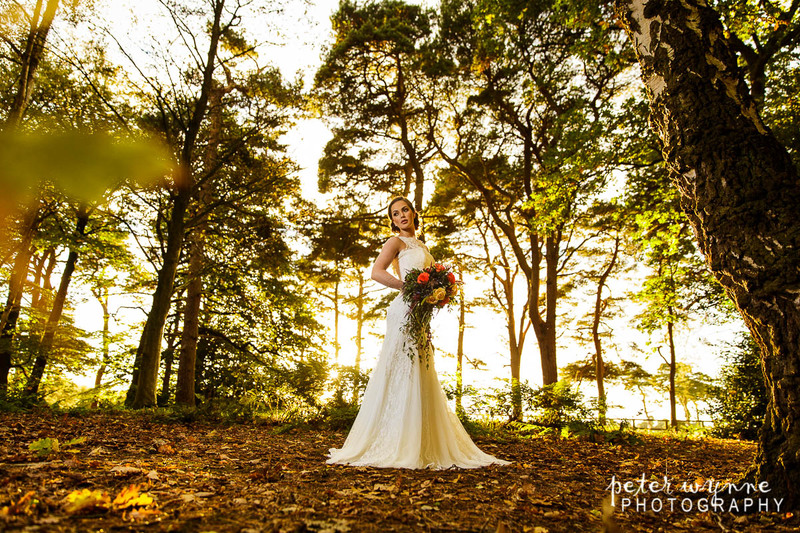 For this I made good use of the wooded areas to get the sunlight where I wanted to get some gorgeous backlit photos of Clare. 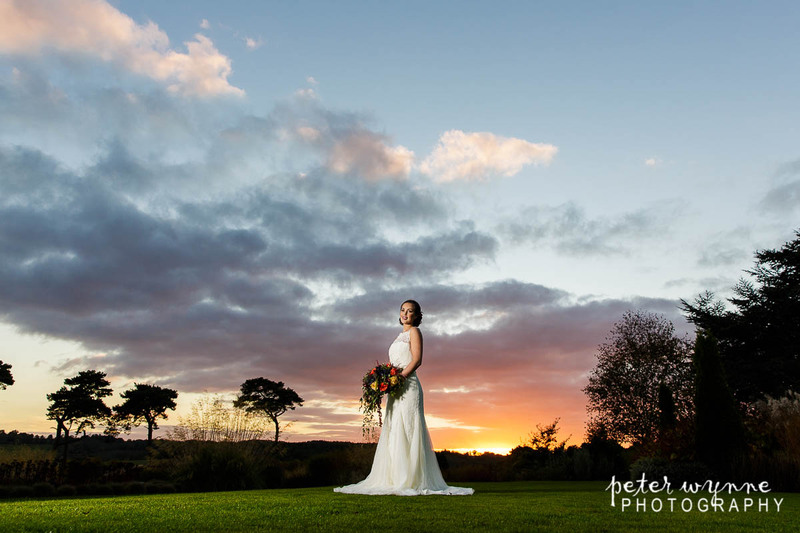 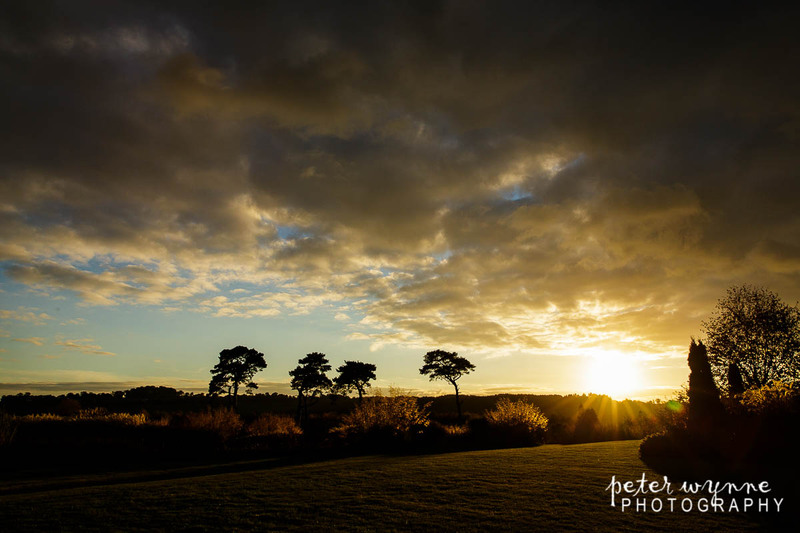 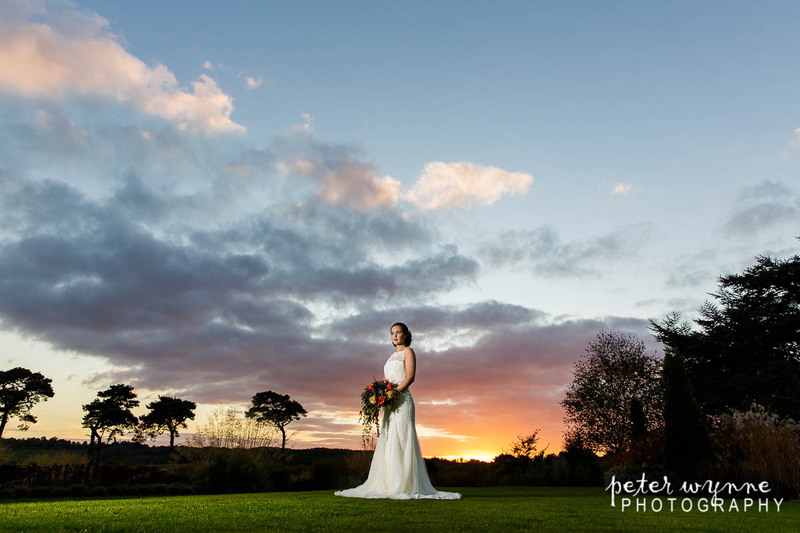 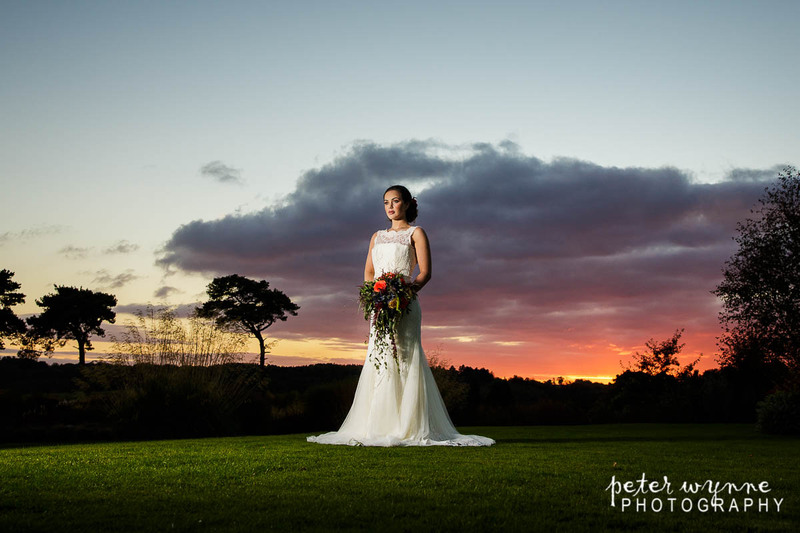 Changing light conditions like this can be challenging to work with but so rewarding to get right and I love working with sunsets and dramatic skies at weddings. 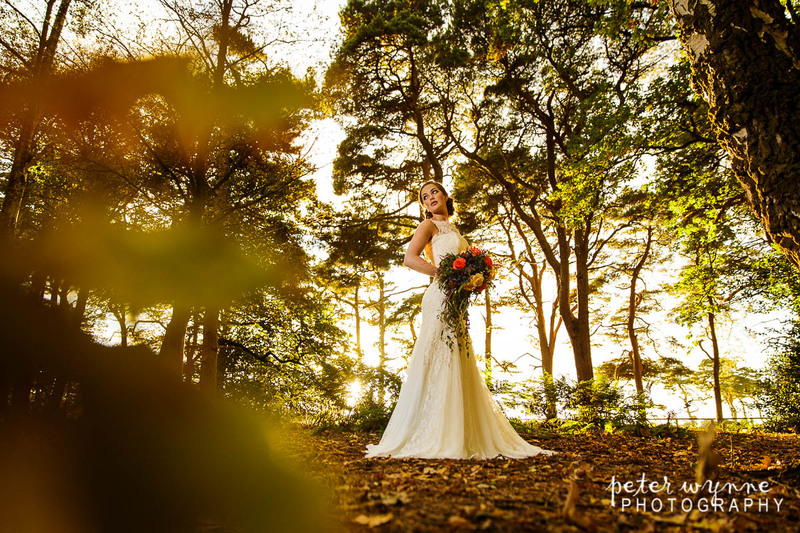 Just after a few sunset photos it was time to pack up but what a day we had, we knew we got some awesome photos and it was fantastic working at Abbeywood. 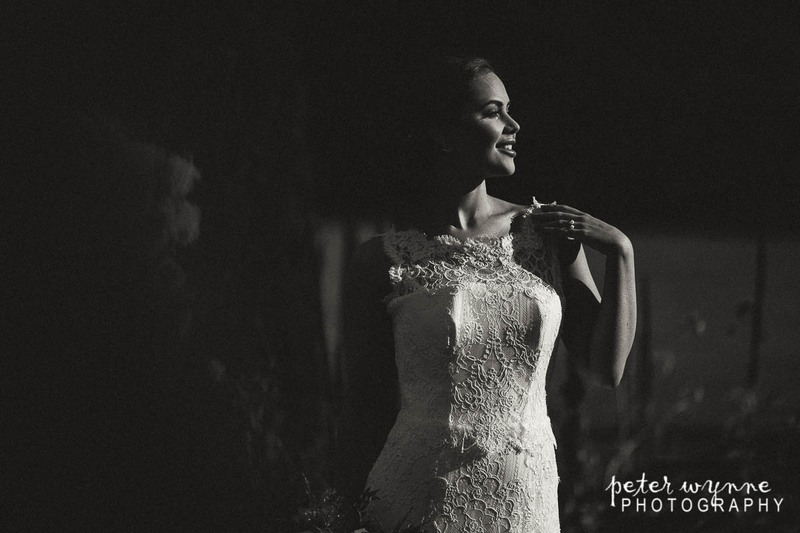 As a wedding photographer its so easy to get into a rhythm after wedding after wedding and there is a risk of losing some creativity, some photographers can get too comfortable and lose sight on driving their style forward, a bridal shoot such as this is great for experimenting….something we don’t get a lot of time to do at weddings and its so valuable. 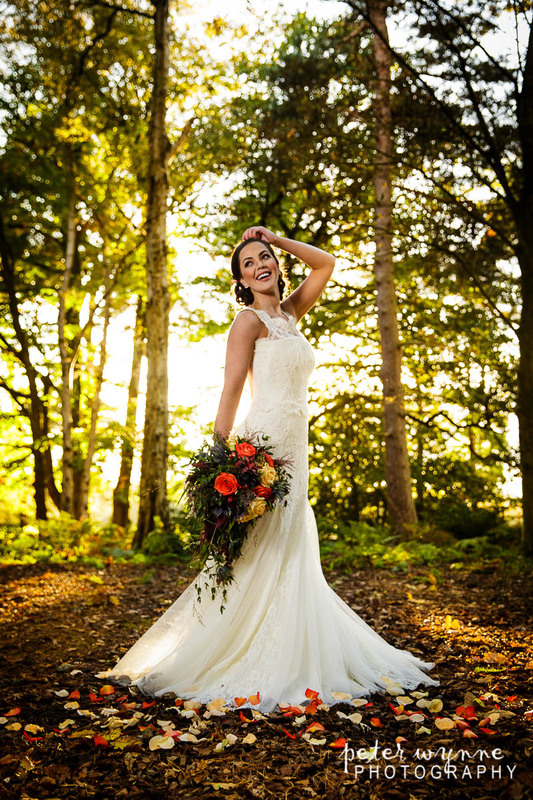 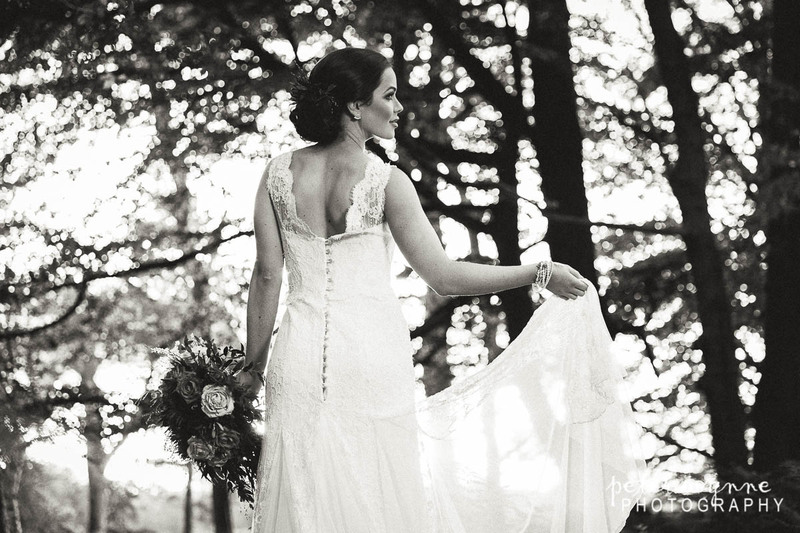 Thanks so much to Abbeywood Estate for allowing us to use their amazing grounds, thanks to Jacqui from Jacqui O Fairytale Flowers for the stunning flowers, Kate and Alex from Bridal Haven for Clare’s stunning dress and also to Clare for modelling for us. 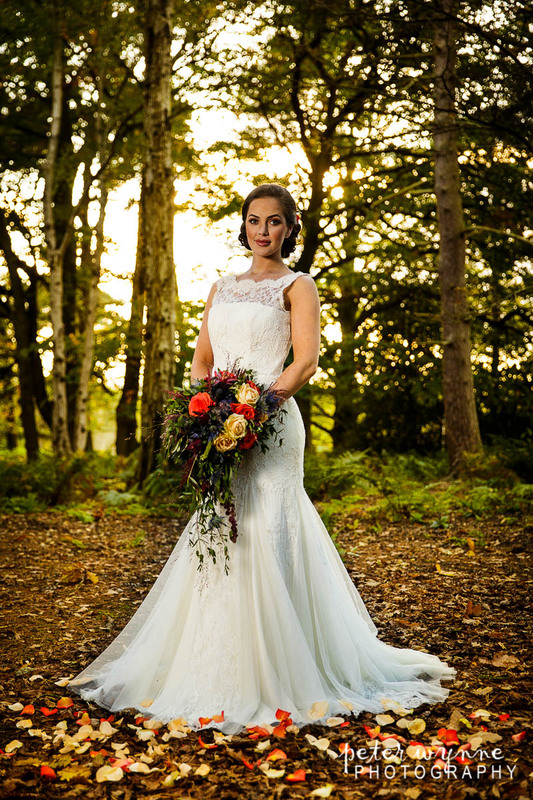 The biggest thanks goes to my amazing partner Vicky for pretty much planning and organising the entire shoot, without her it wouldn’t of been possible to have looked as good as it did…. 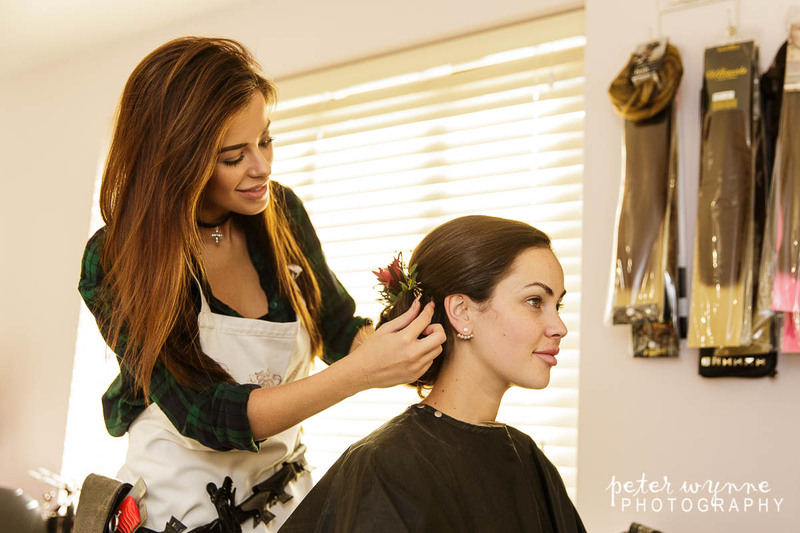 she and Anna did the hair and makeup too. 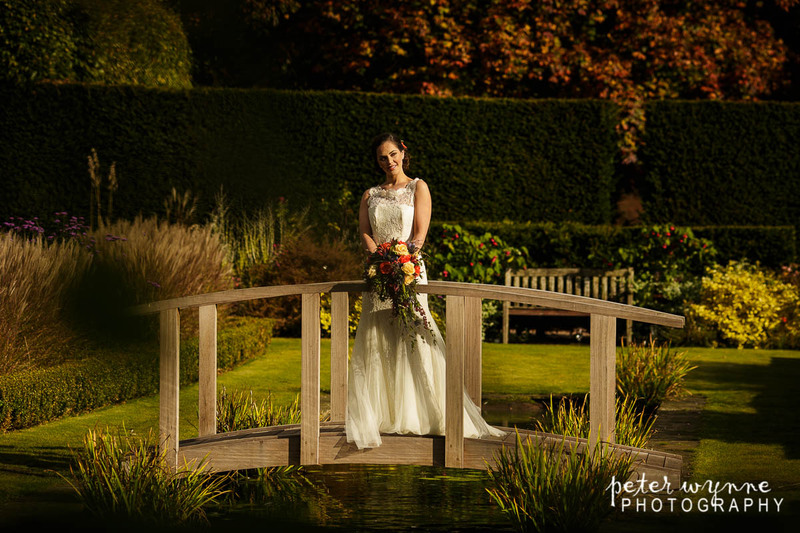 Thanks again to all the wedding suppliers involved. 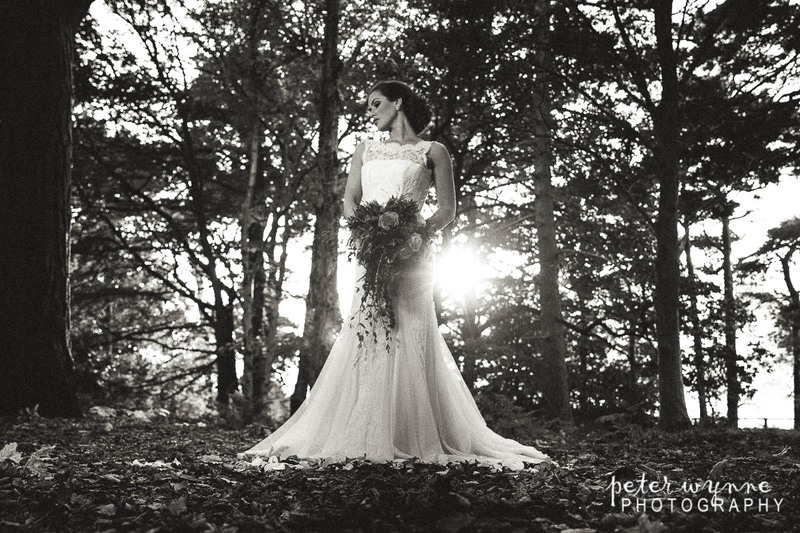 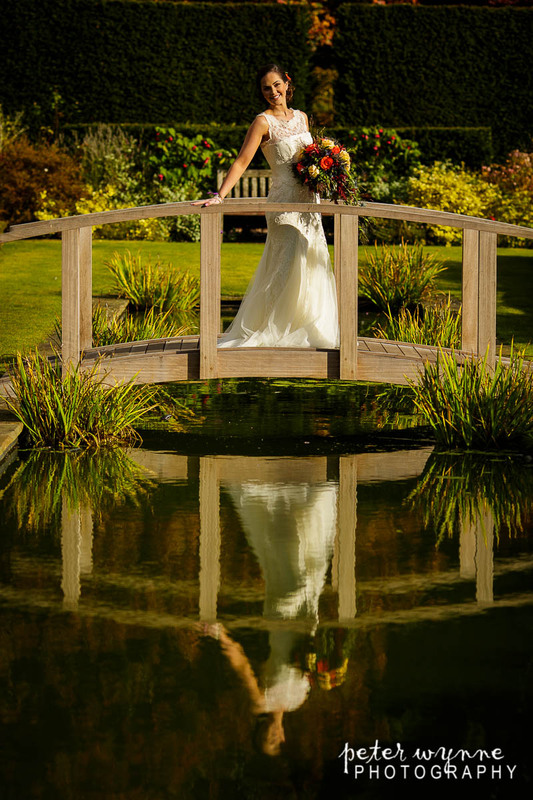 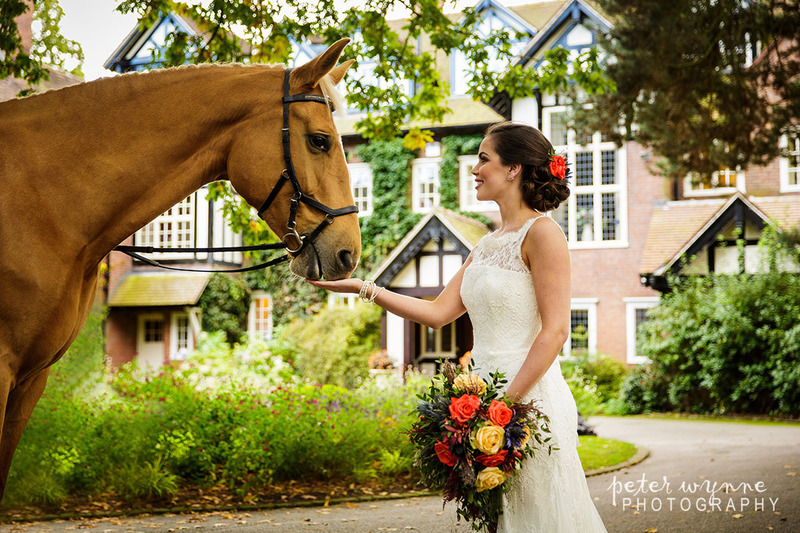 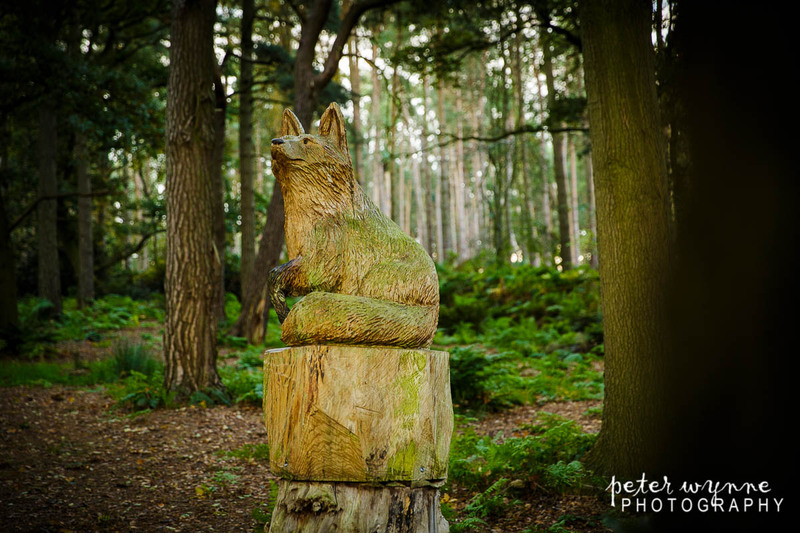 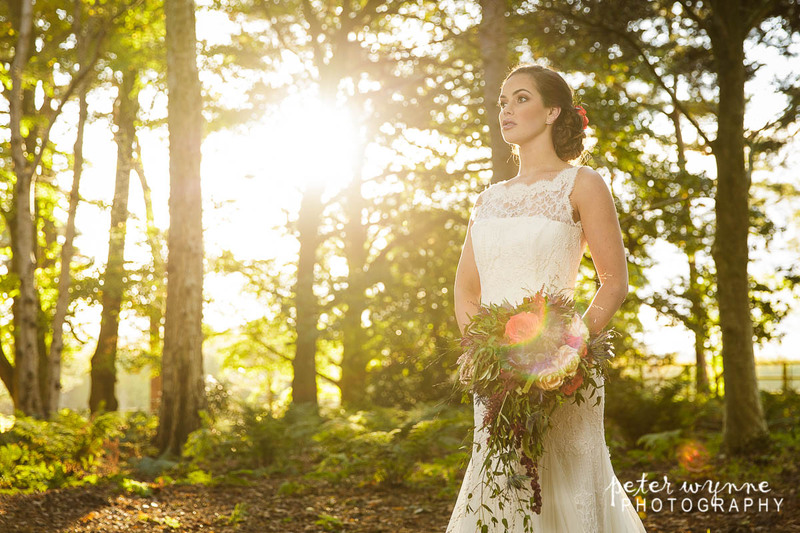 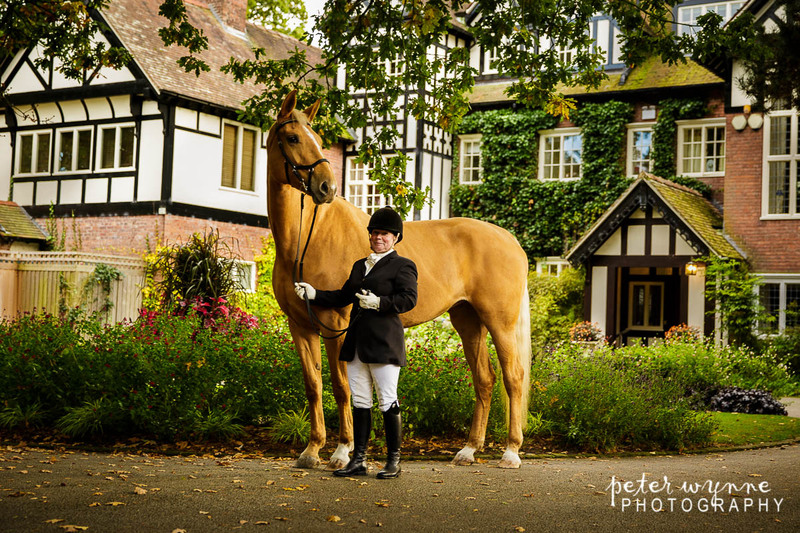 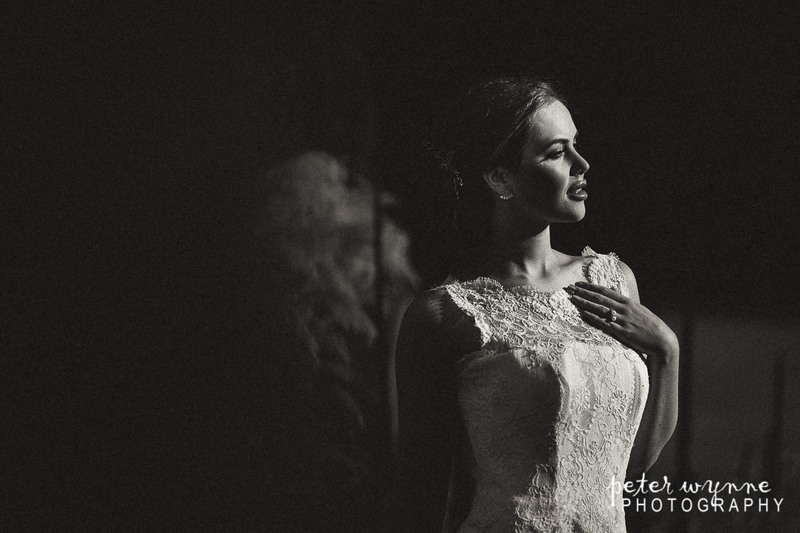 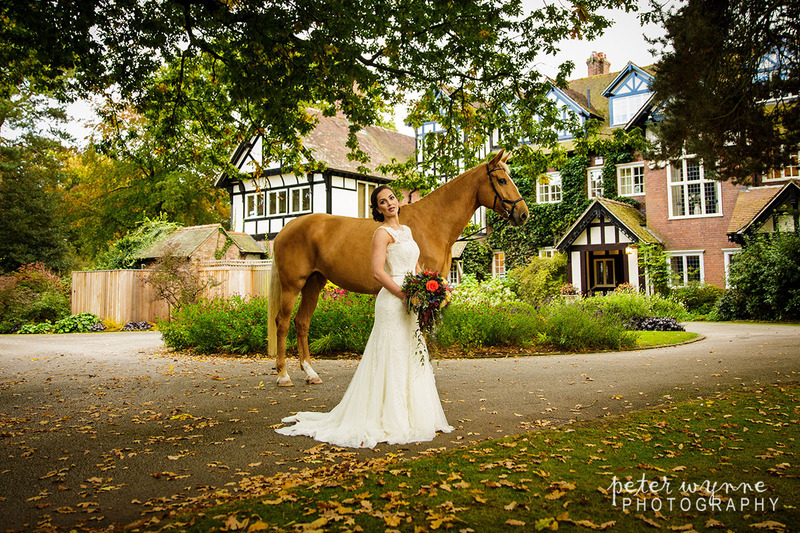 Please view the following examples of our latest Abbeywood Estate wedding photography below.